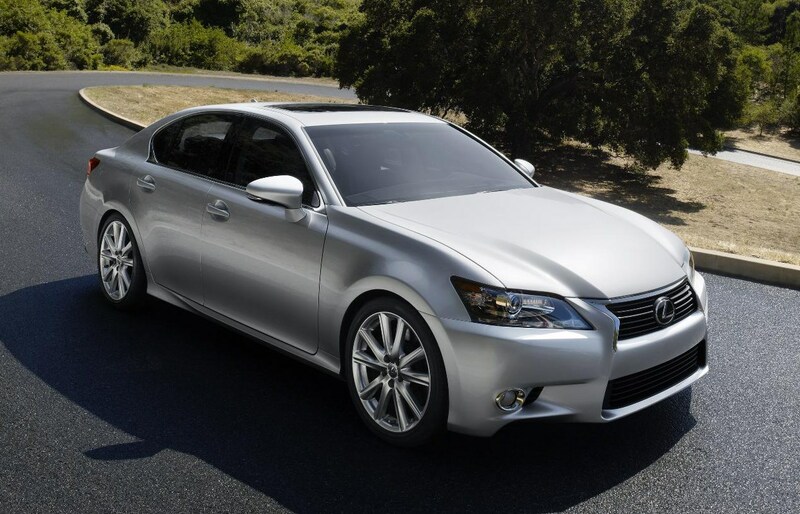 Insurance group: 26 - 42 How much is it to insure? 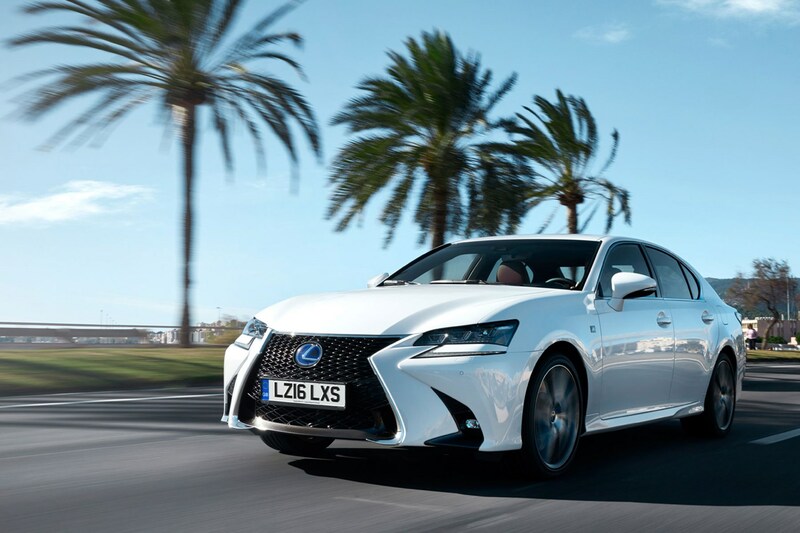 With the company car park full of BMW 5 Series, Audi A6 and Mercedes-Benz E-Class saloons, the Lexus GS has its work cut out to steal sales from the German trio, not to mention the Jaguar XF and equally premium SUVs that are growing in popularity. 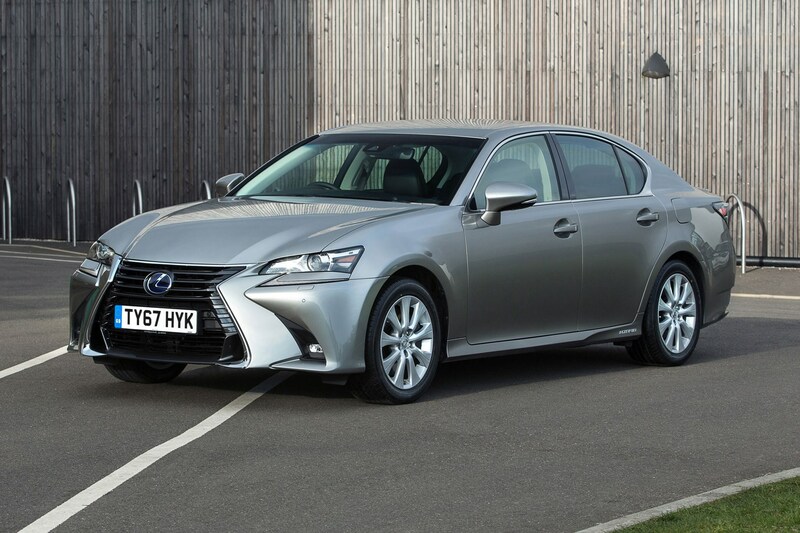 British buyers have favoured the German rivals for years, which is a shame as Lexus has worked hard to make the GS competitive, with a range of punchy yet efficient hybrid engines available, a lengthy list of standard equipment across the range and, arguably, the most distinctive exterior styling in the class. 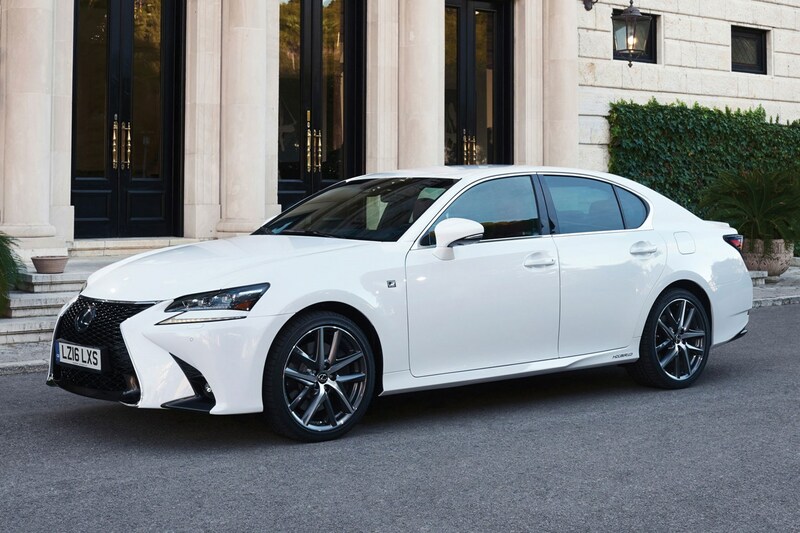 This generation of GS received a comprehensive update in 2015, with the most notable change being made to the exterior styling, which added the now-familiar spindle grille and sharp lines with slim LED headlights. 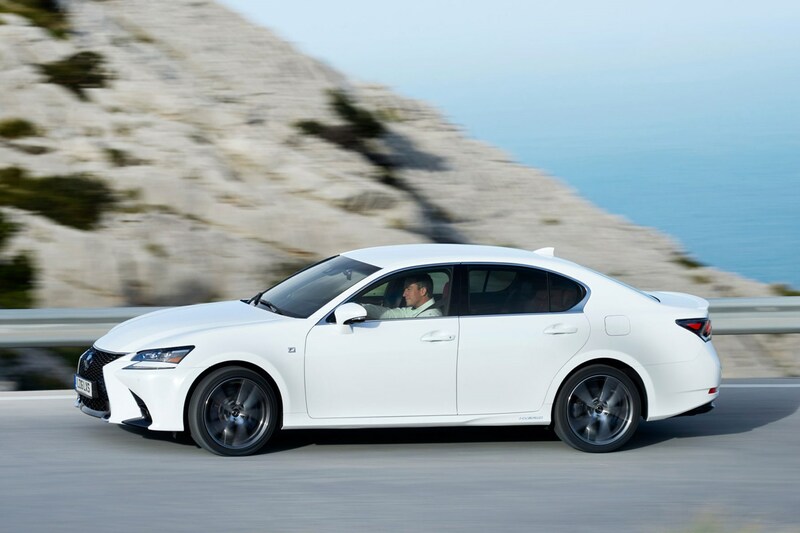 If you want a sharper-looking executive saloon from Lexus, the GS’s replacement – the ES – debuts early 2019. 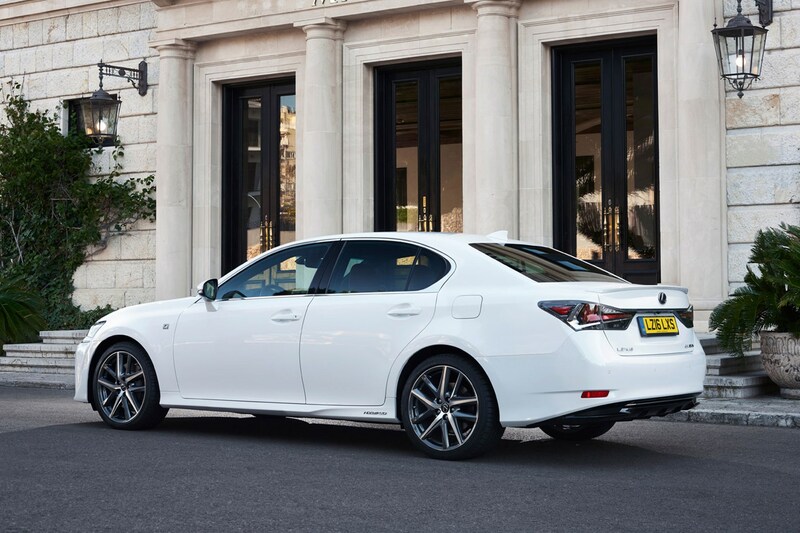 The Lexus GS launched with two versions available: the V6 petrol-powered GS 250 and the flagship GS 450h V6 petrol-electric hybrid. 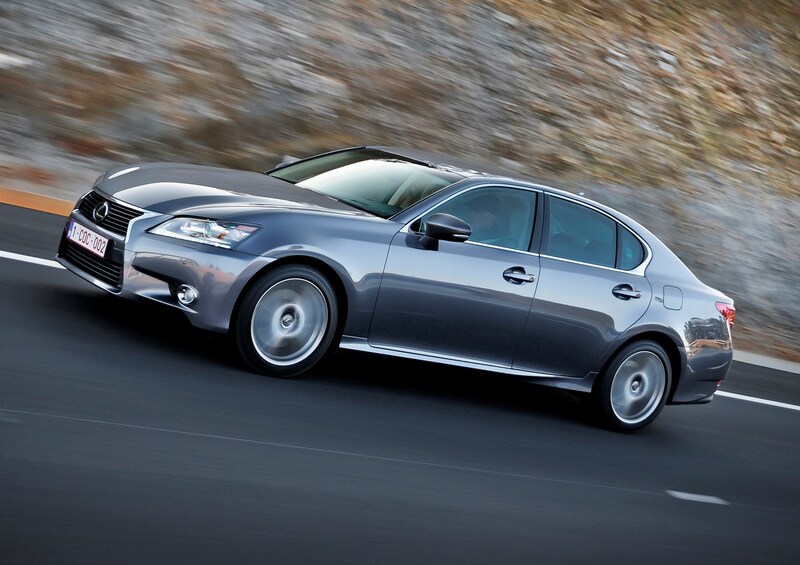 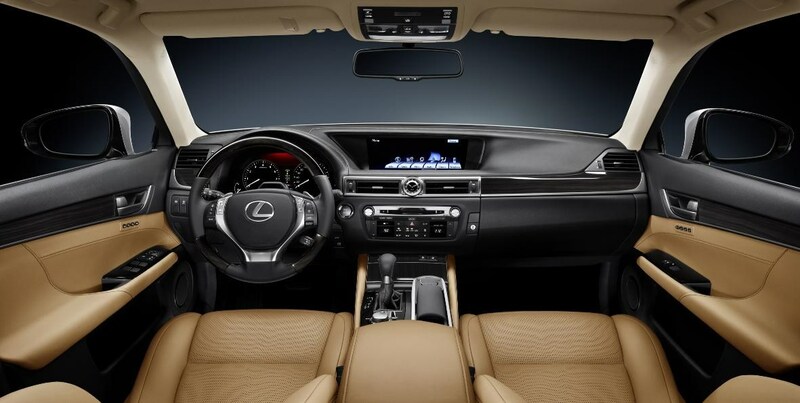 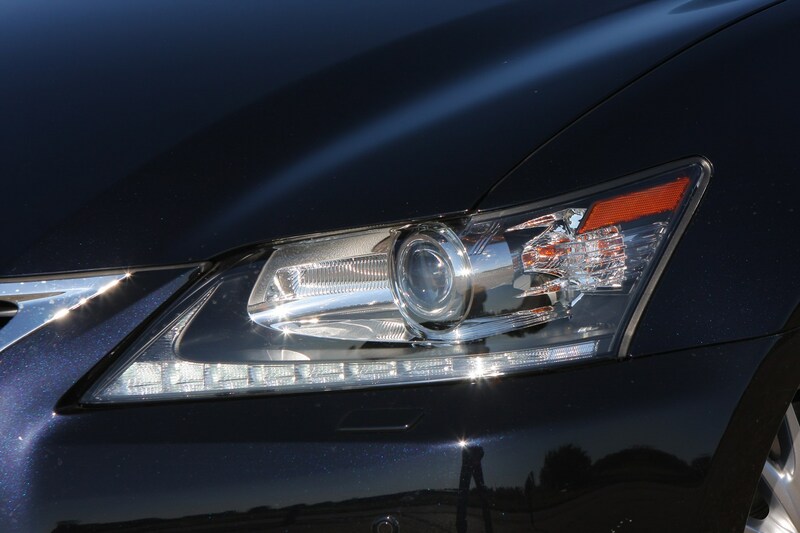 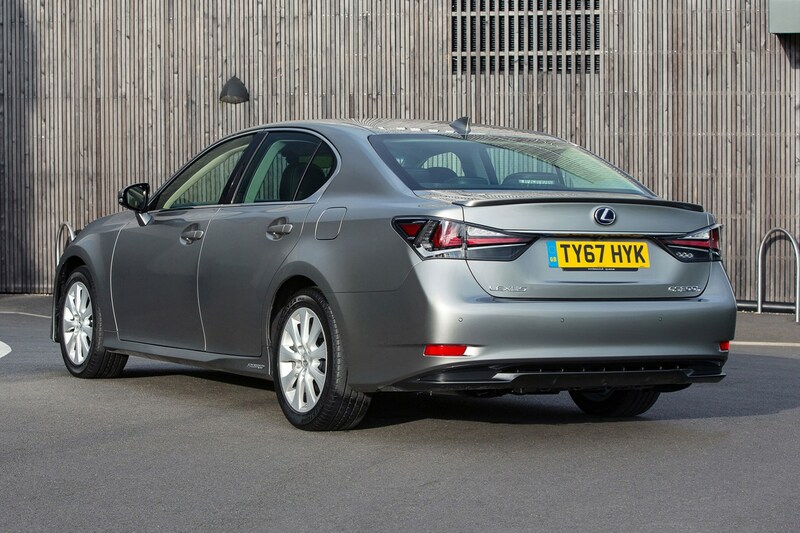 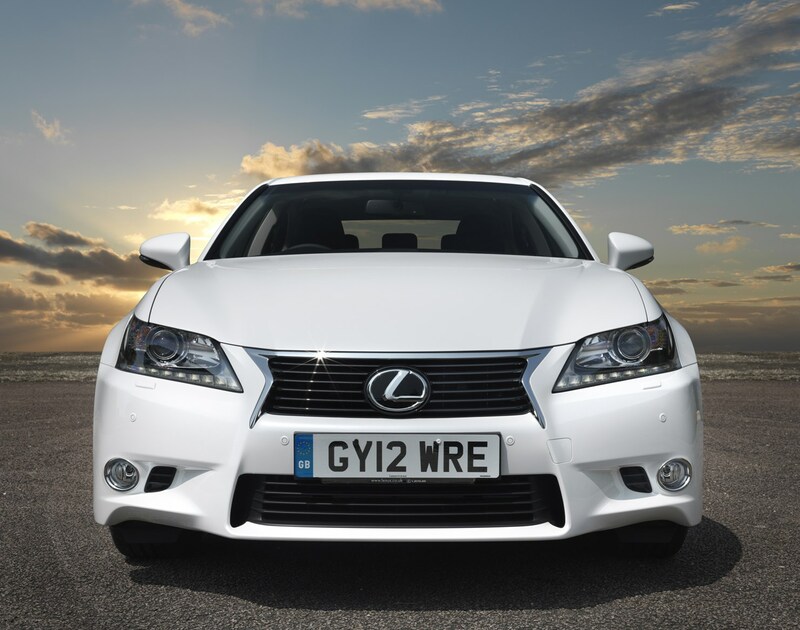 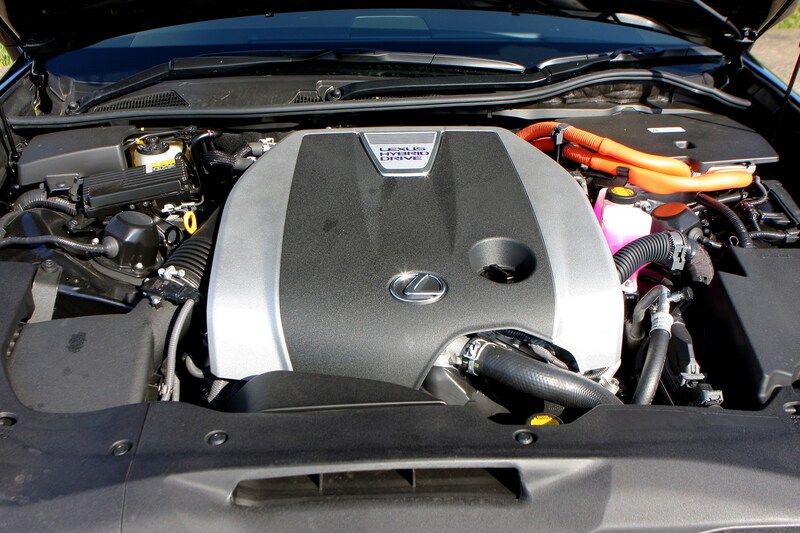 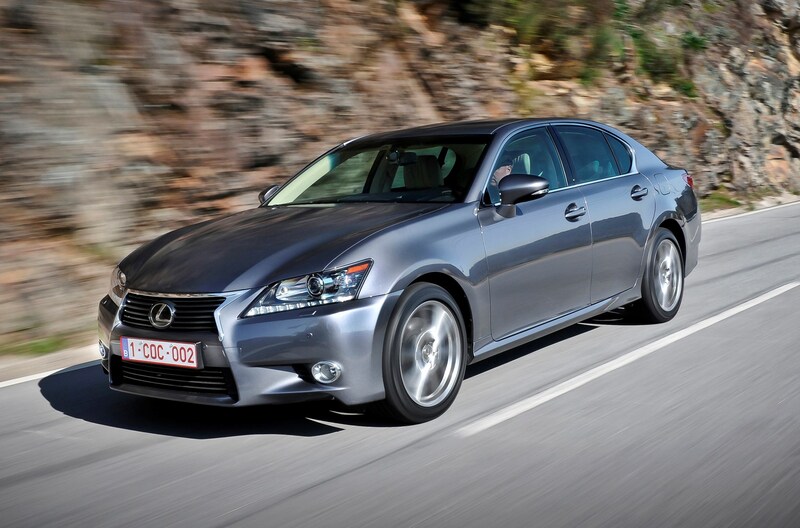 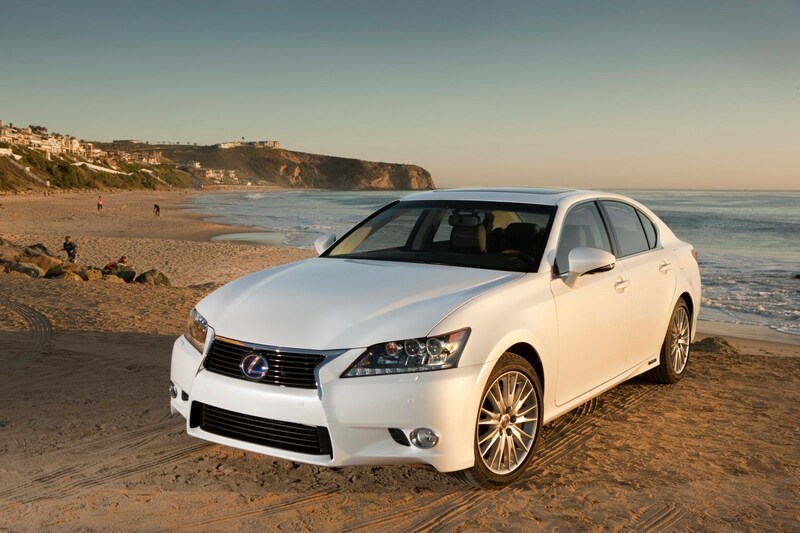 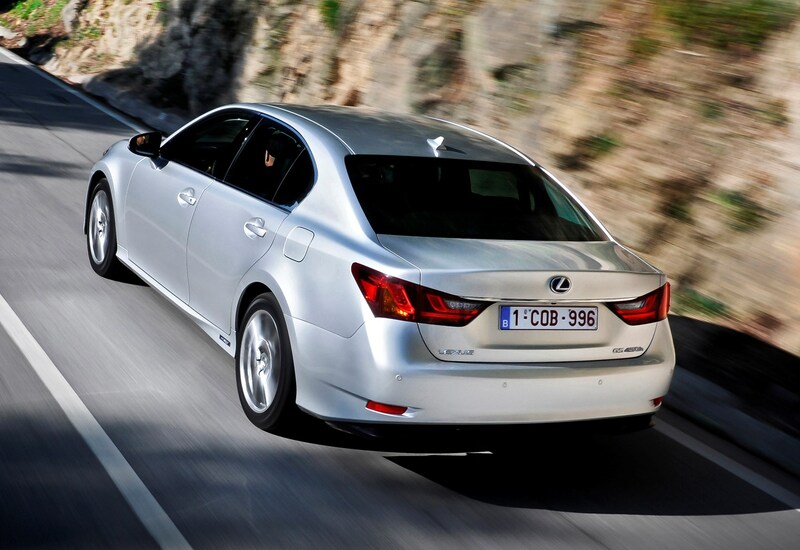 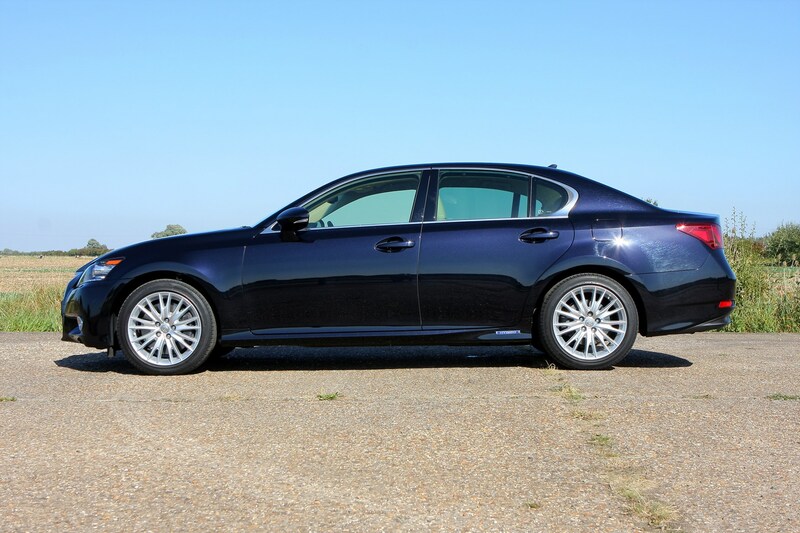 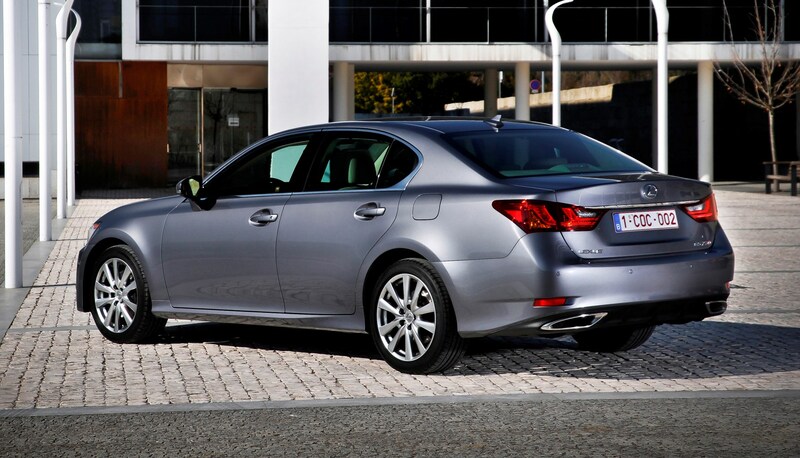 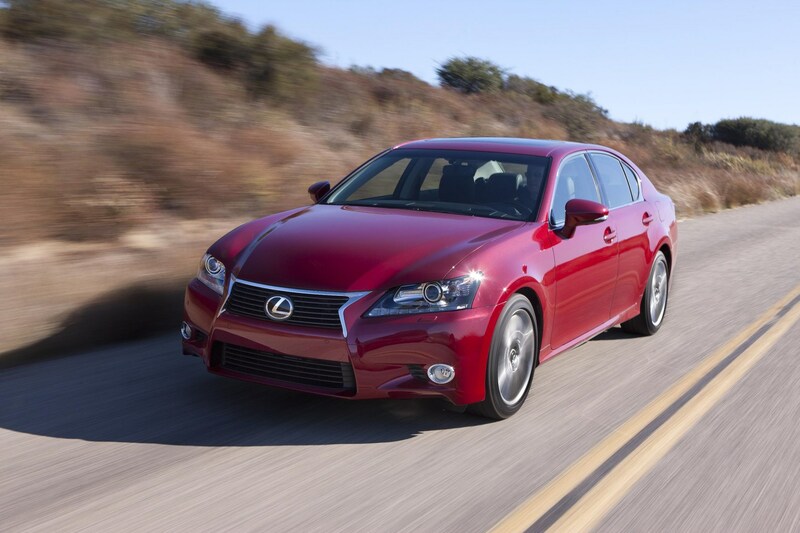 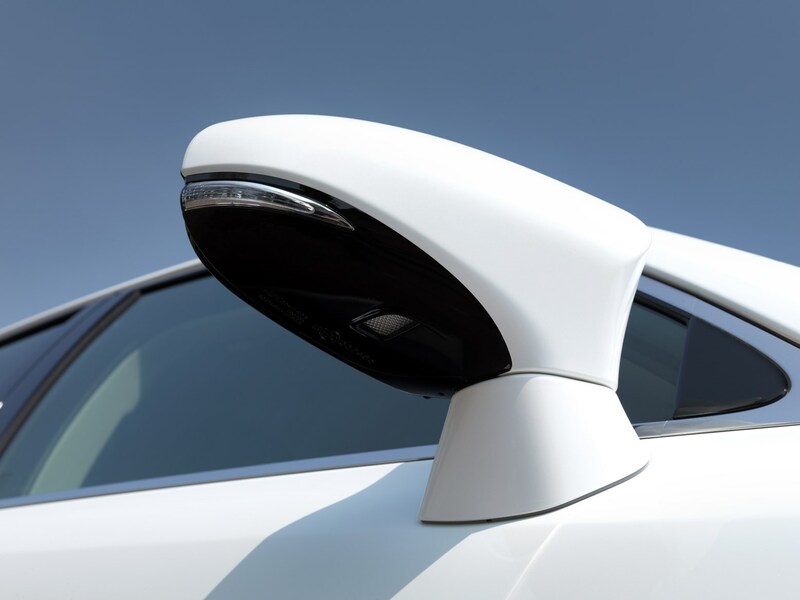 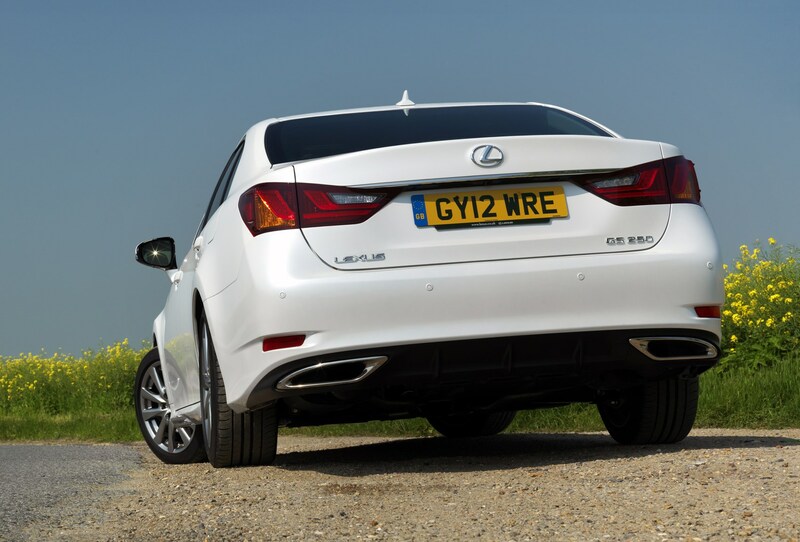 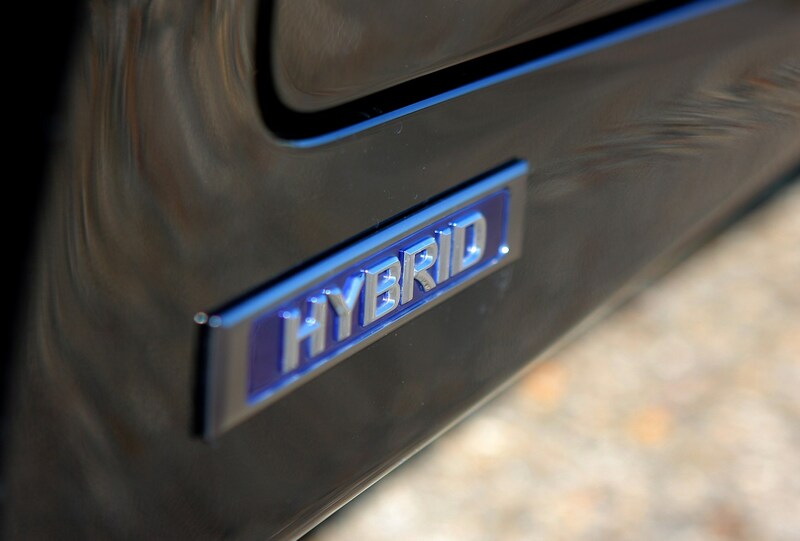 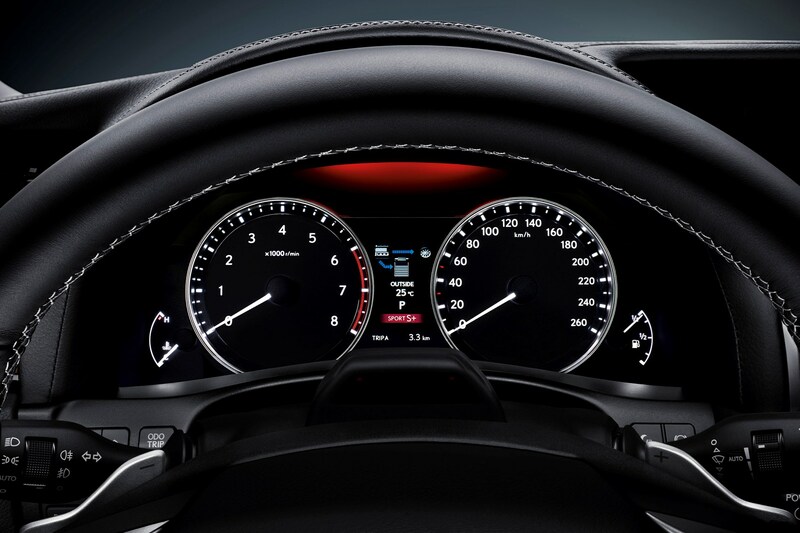 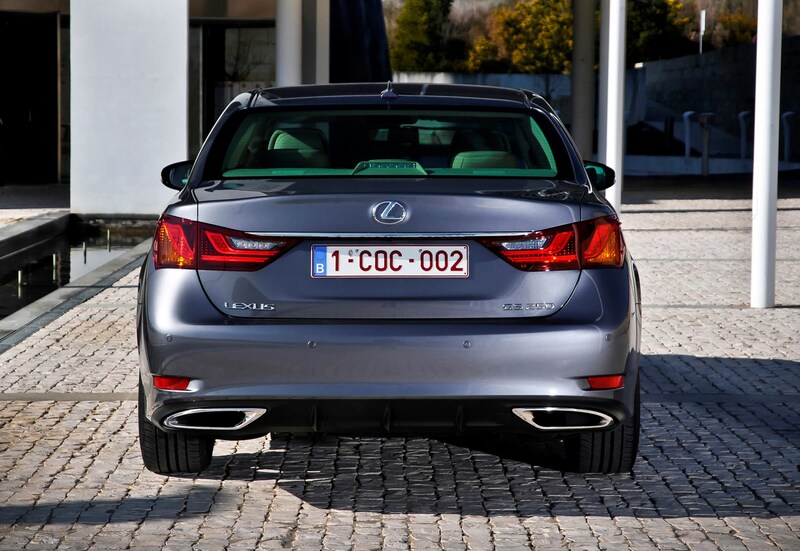 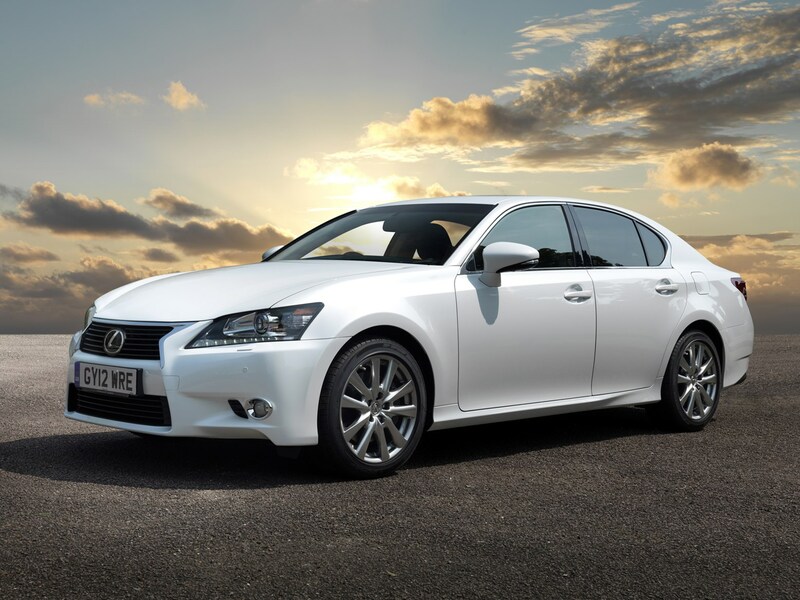 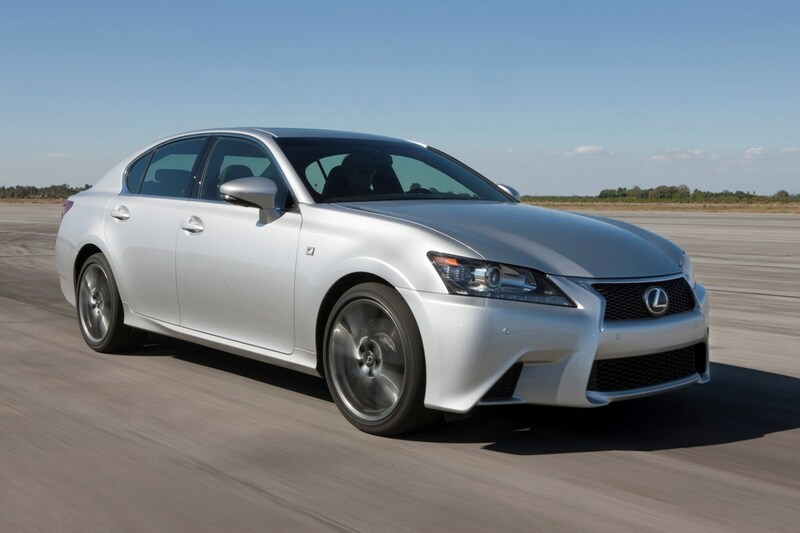 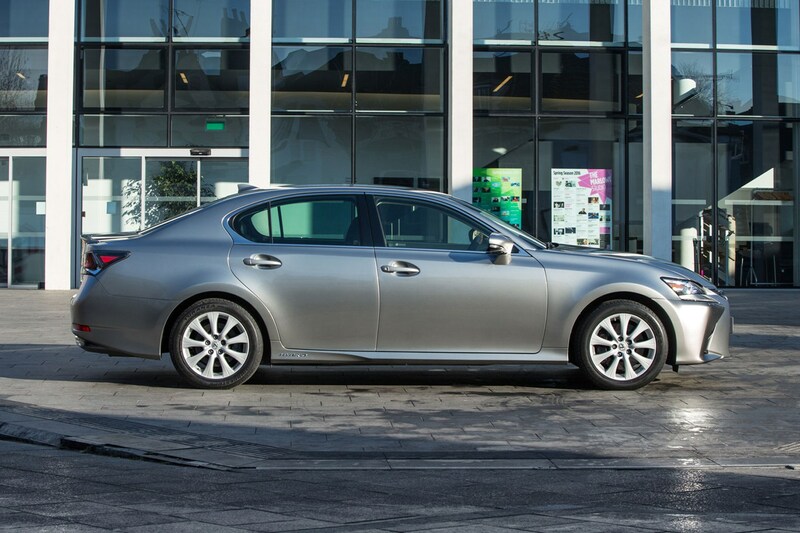 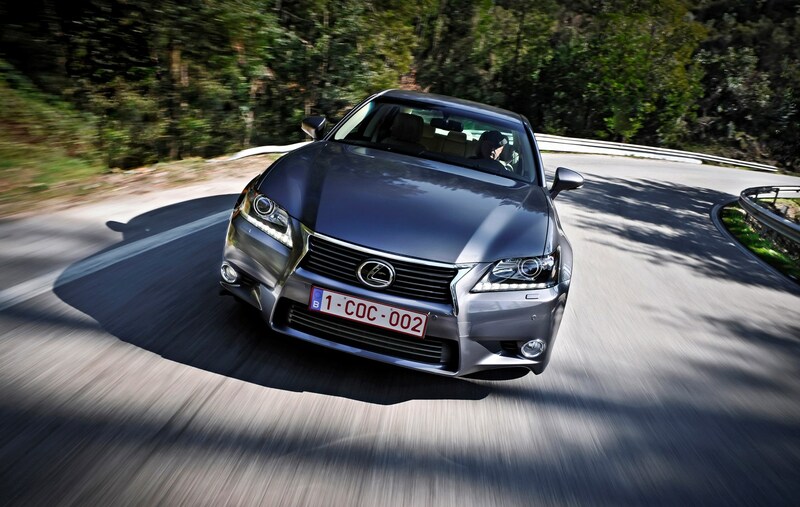 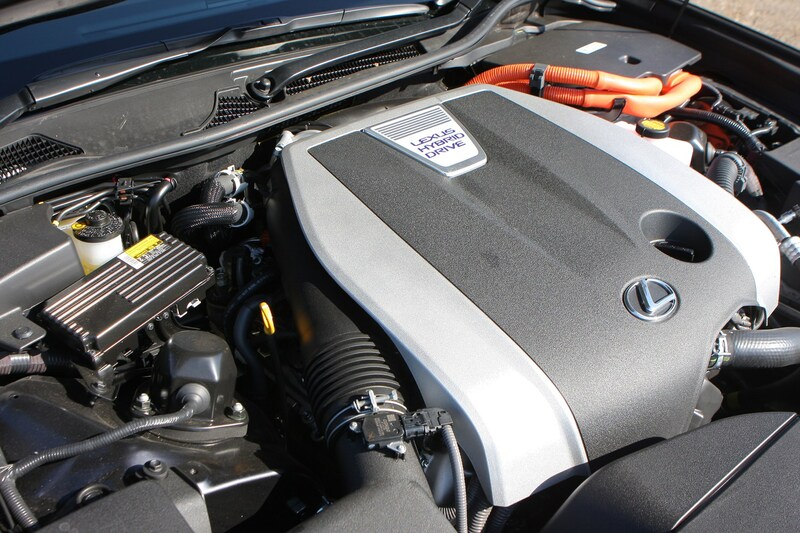 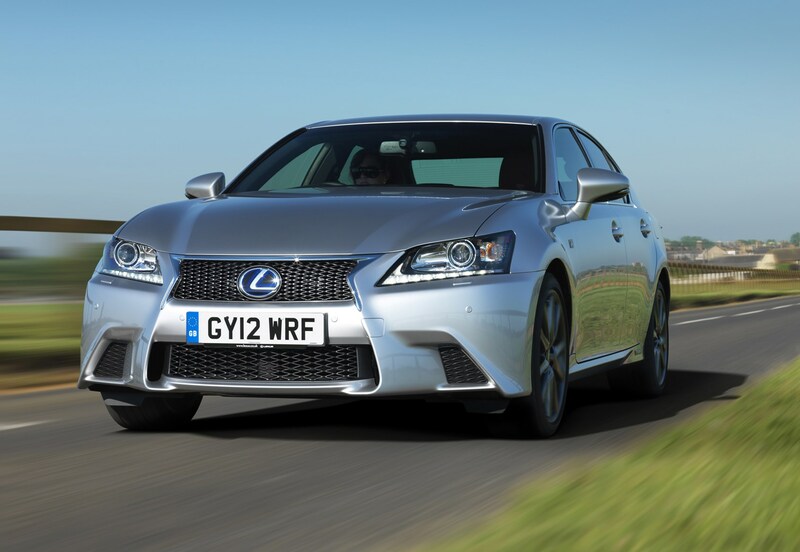 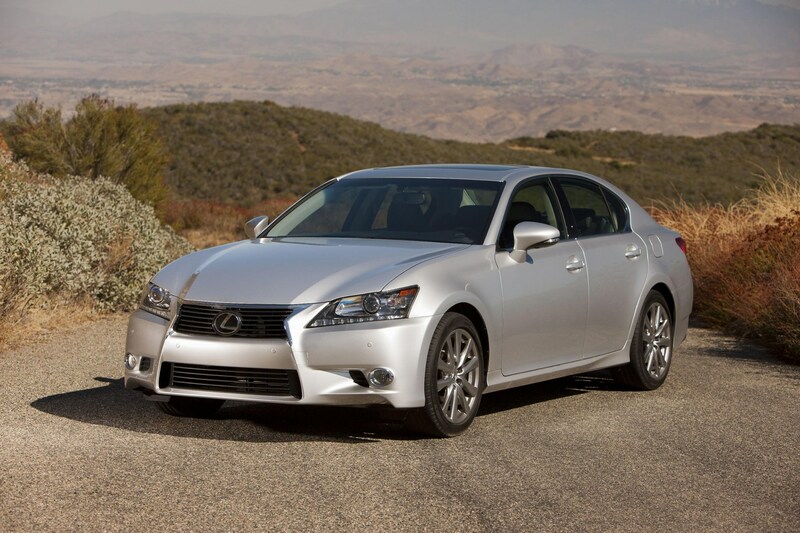 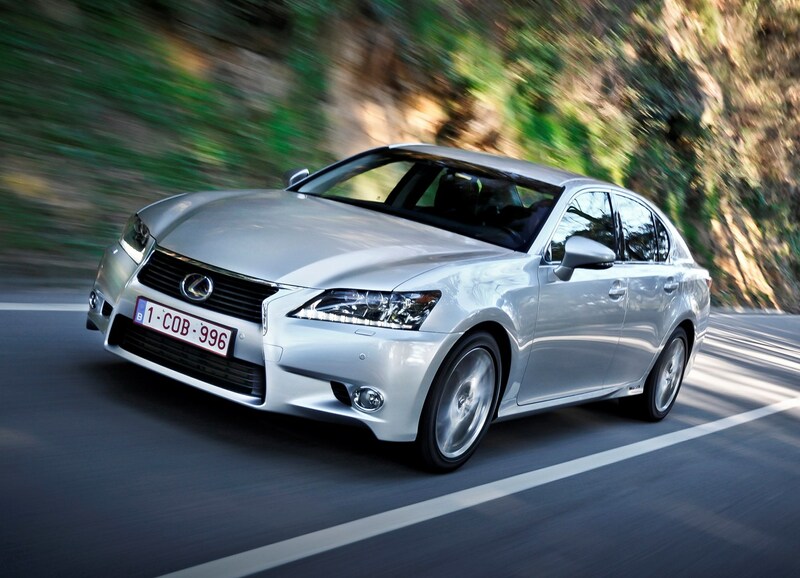 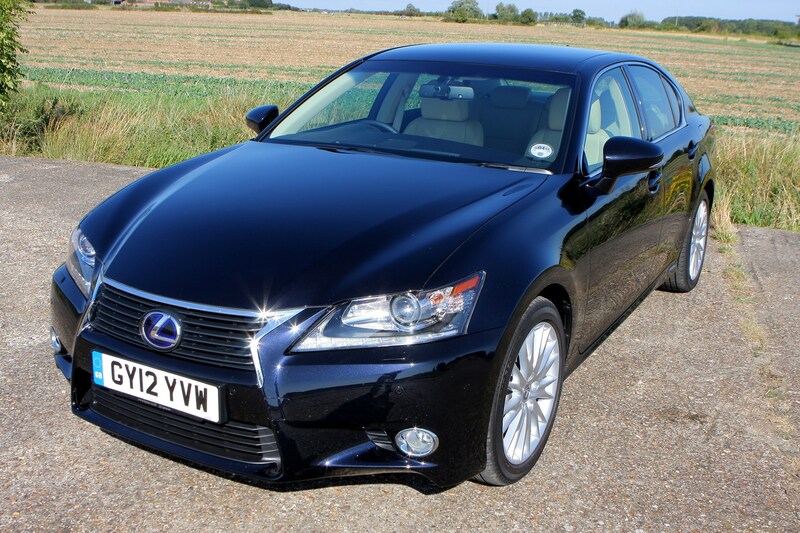 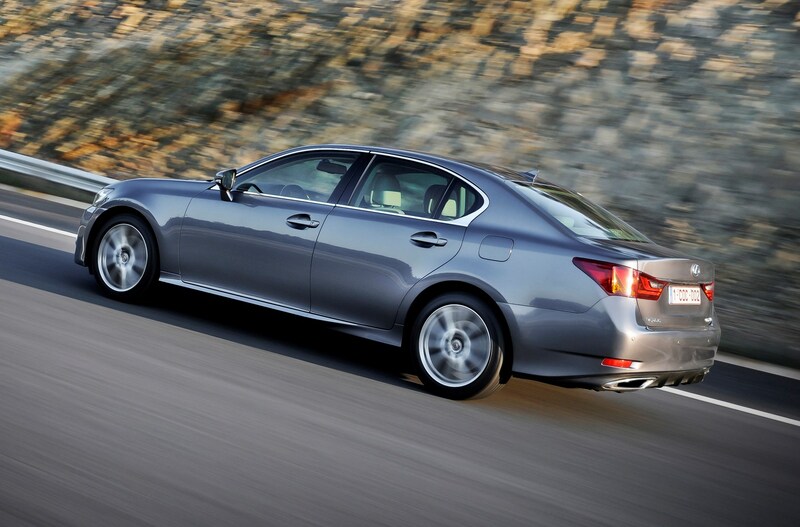 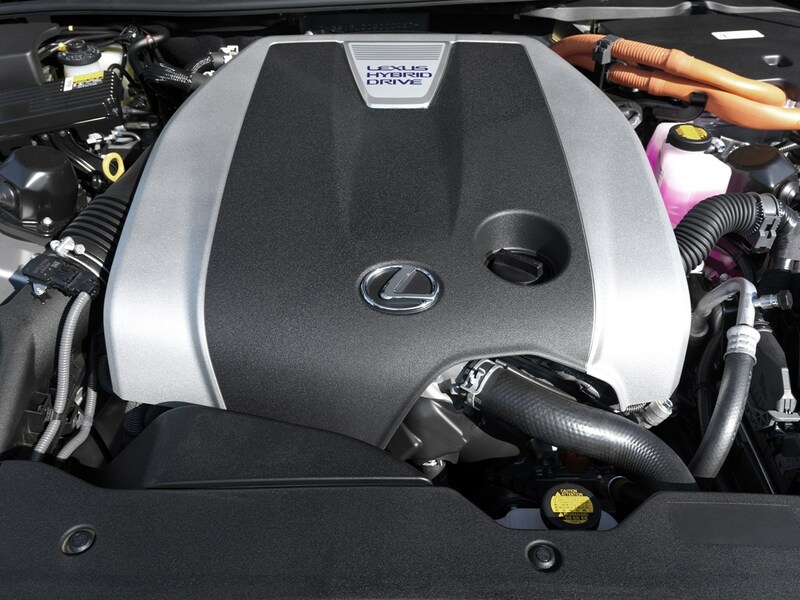 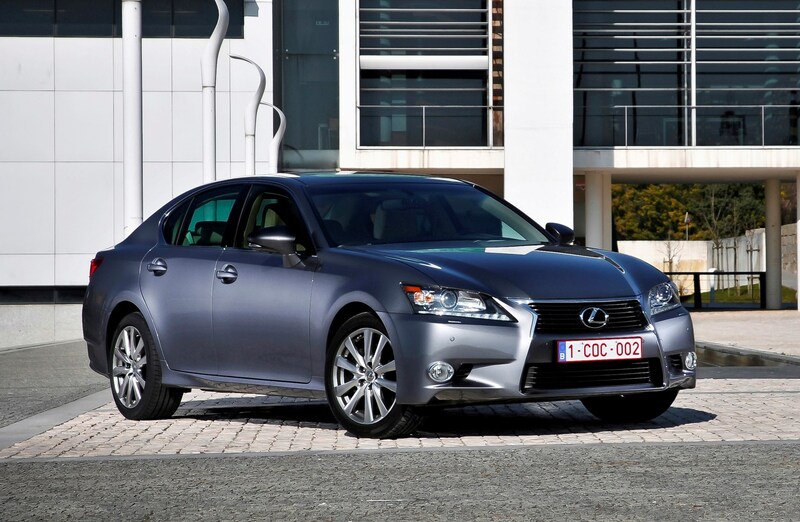 For 2014, the 250 was dropped and the GS 300h was introduced as a lower-powered hybrid model. 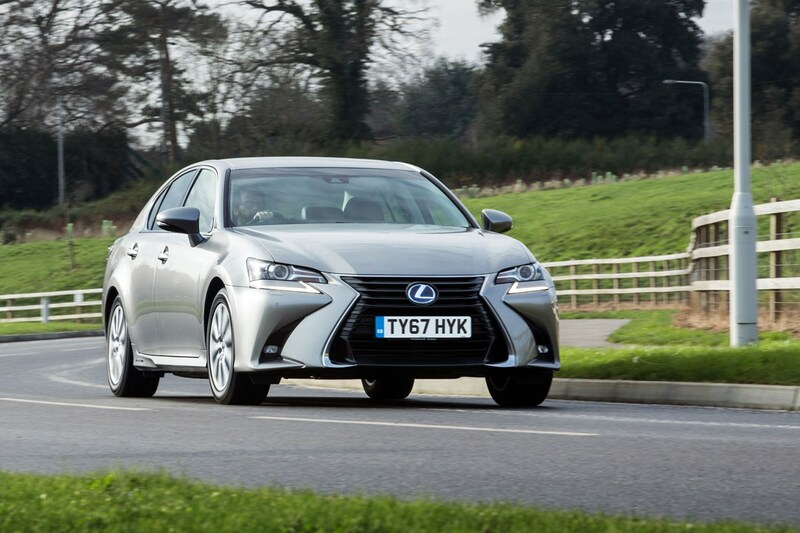 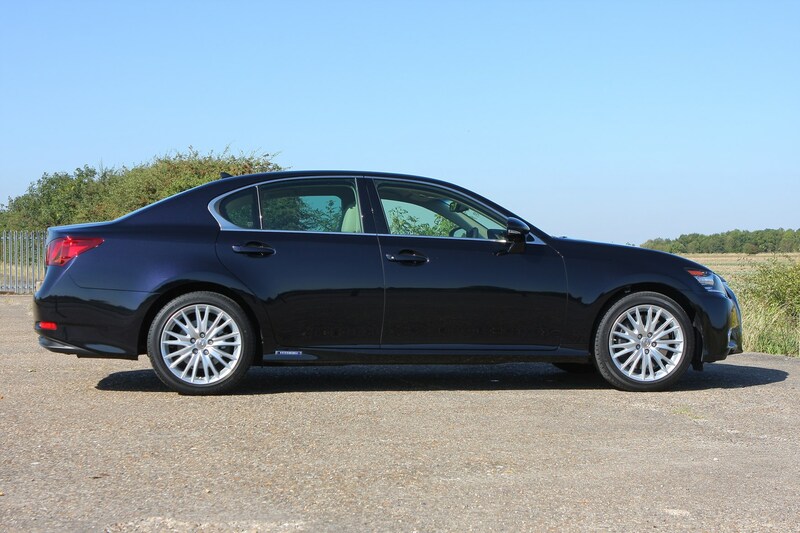 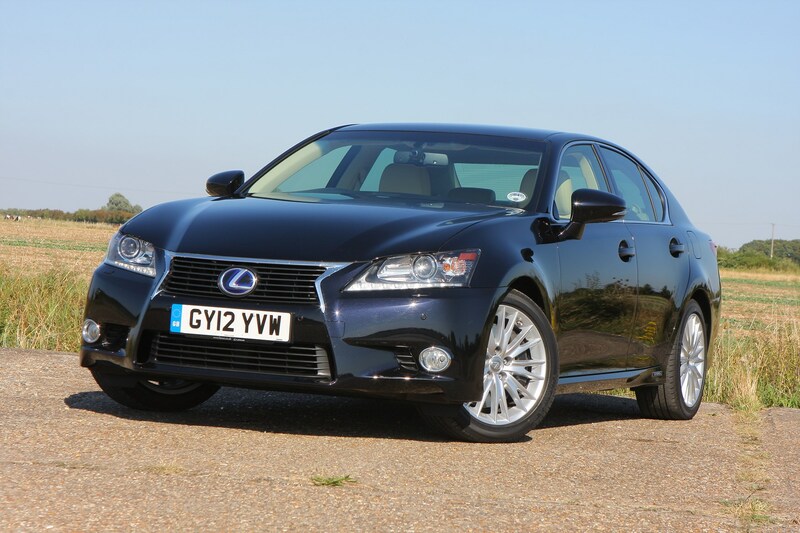 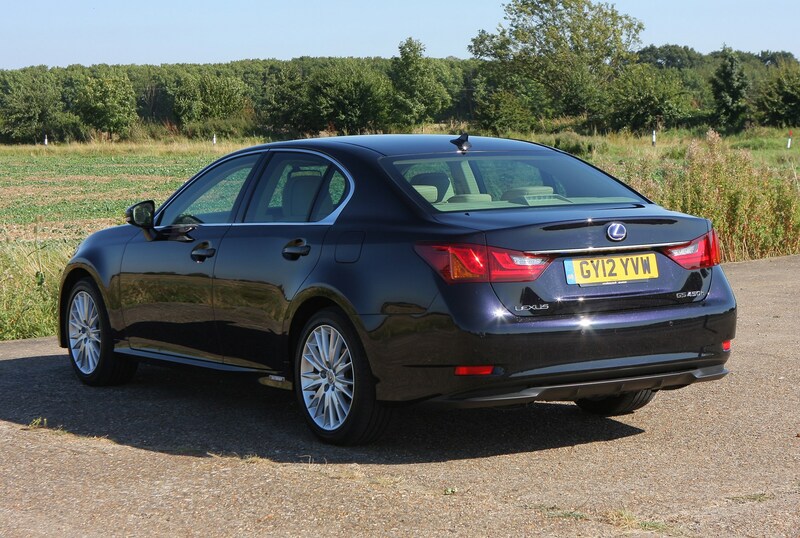 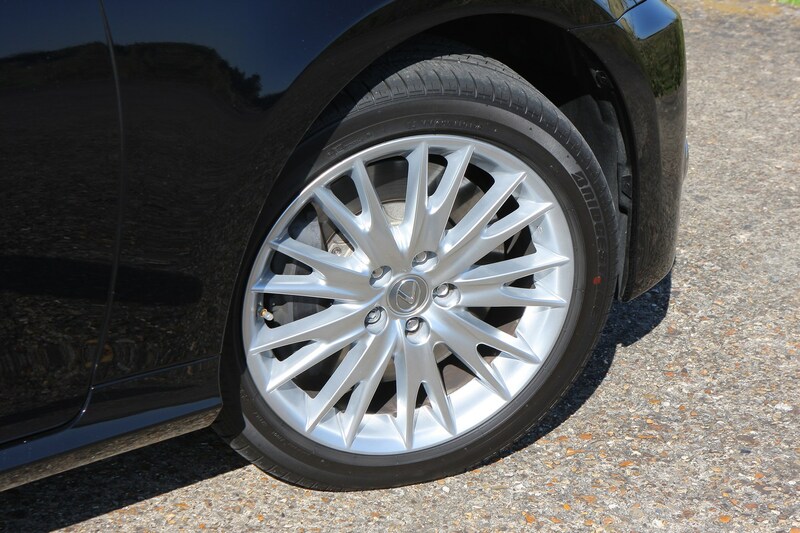 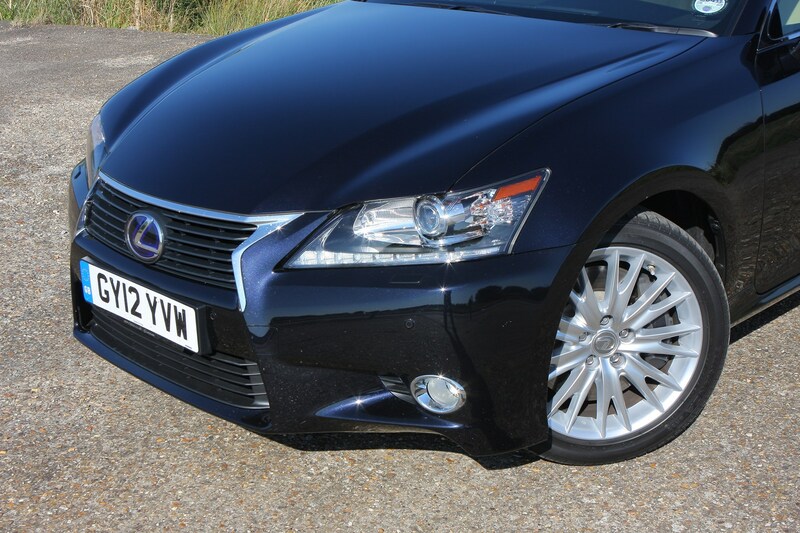 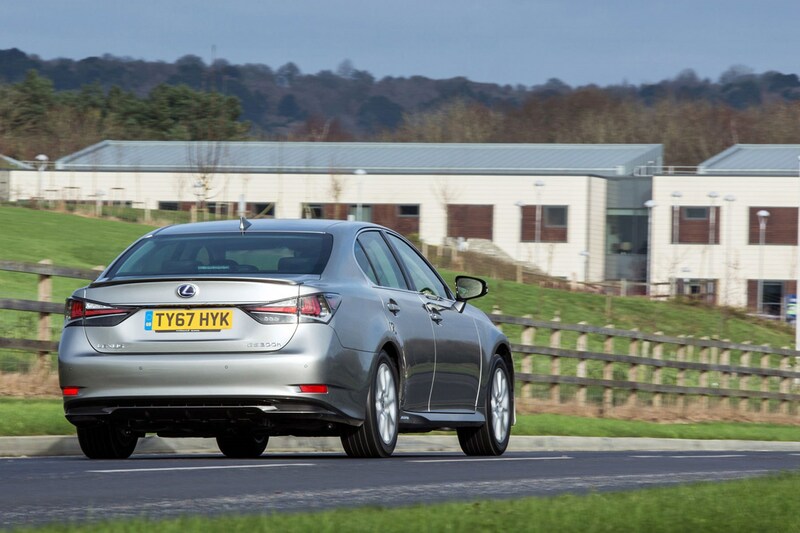 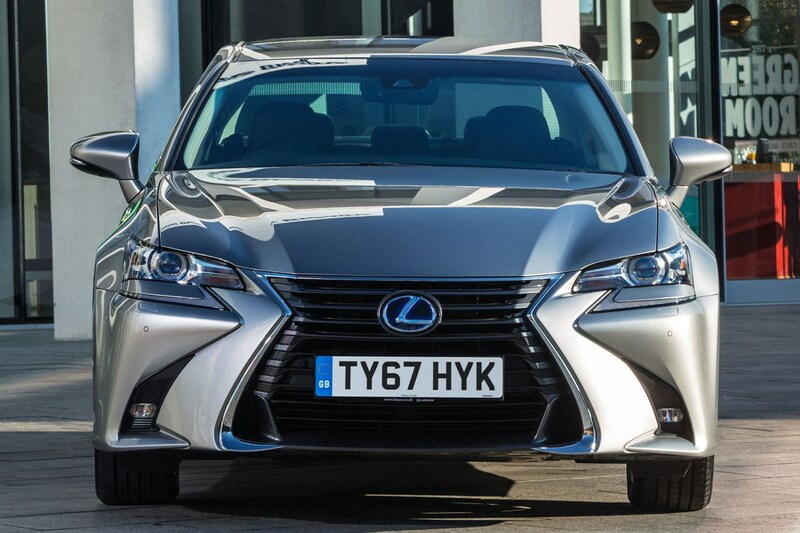 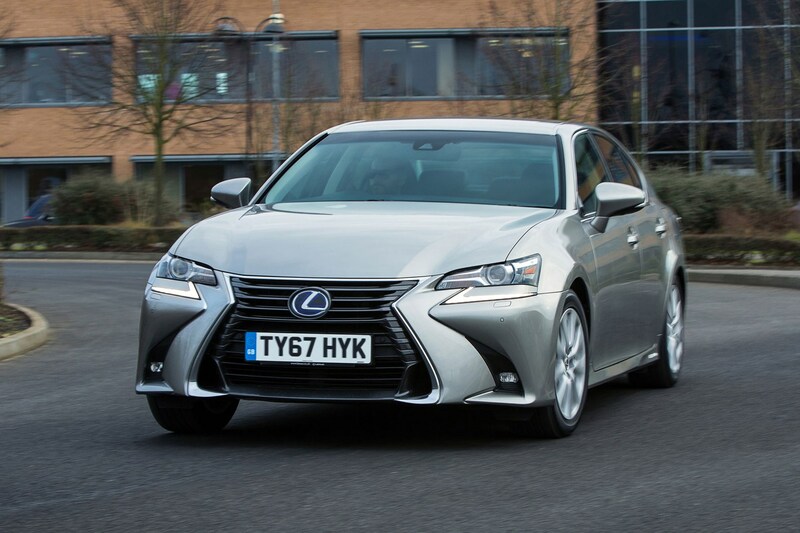 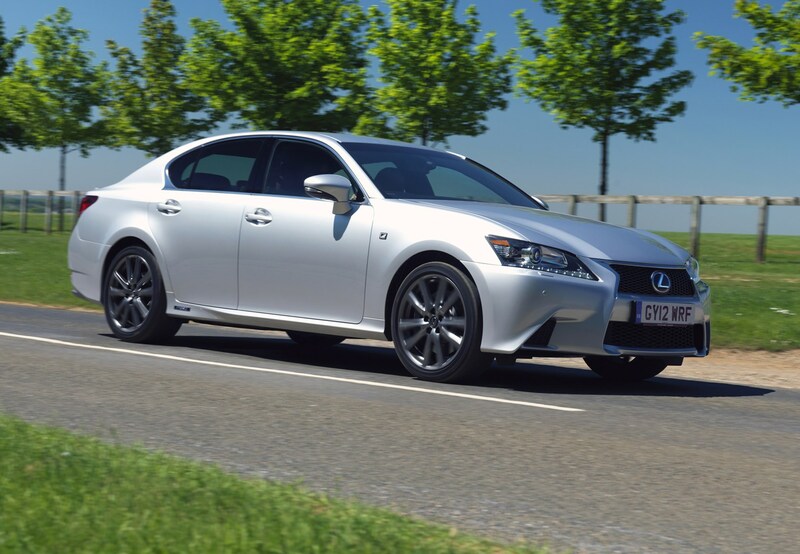 The GS 300h offers very competitive running costs: in SE trim with the smallest wheels fitted it can average a claimed 64.2mpg and emits only 104g/km of CO2. 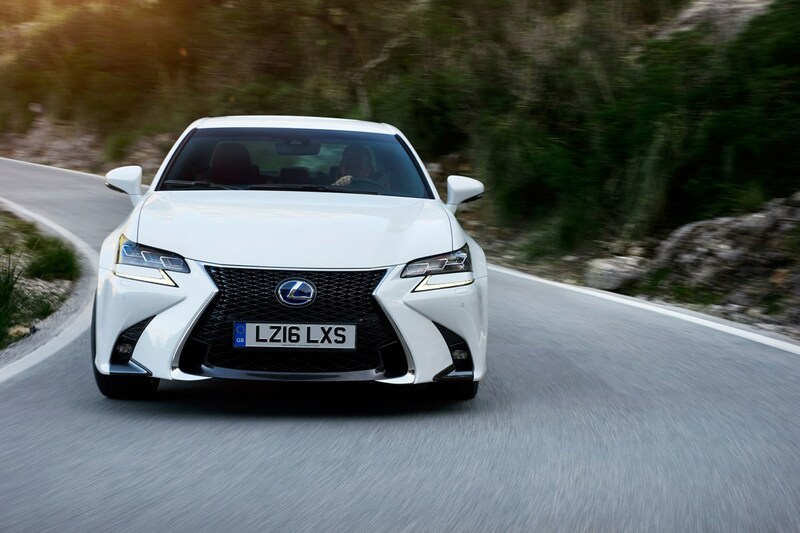 Lexus is keen to point out that means low company car tax bills and the GS 300h is aimed very much at the fleet and business market. 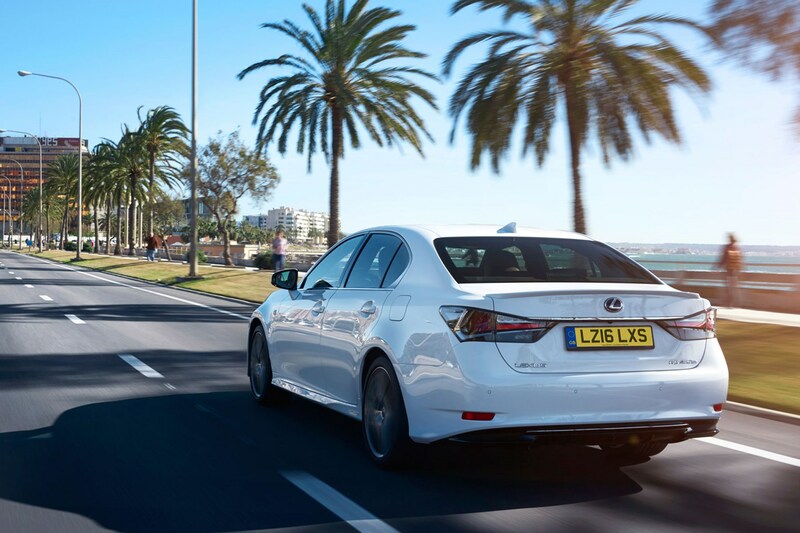 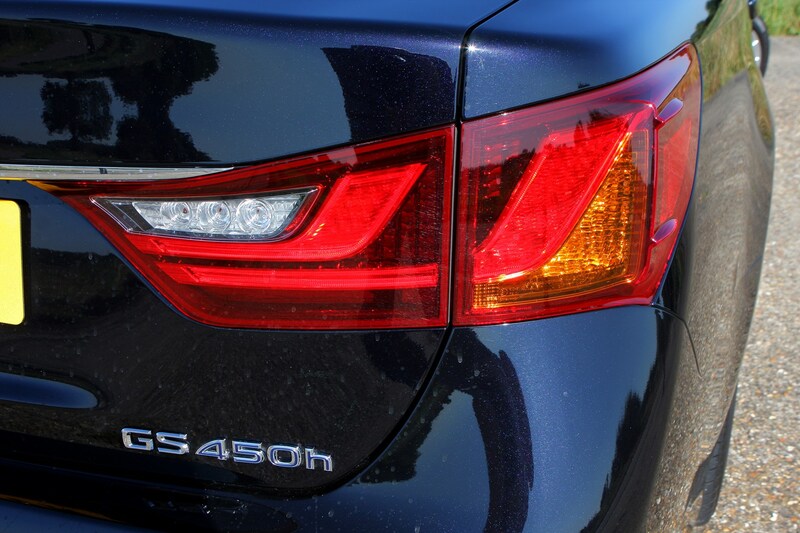 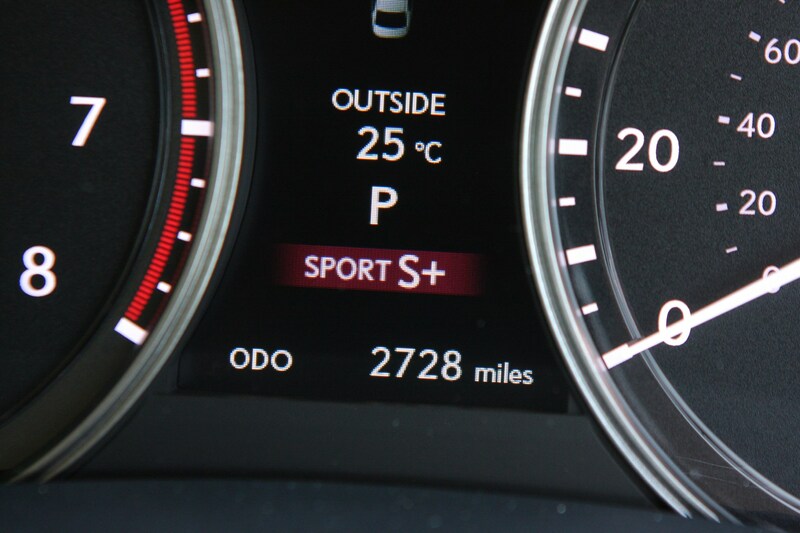 Opting for the GS 450h means far greater performance but higher running costs, with average fuel consumption of 45.6mpg and CO2 emissions of 145g/km mark. 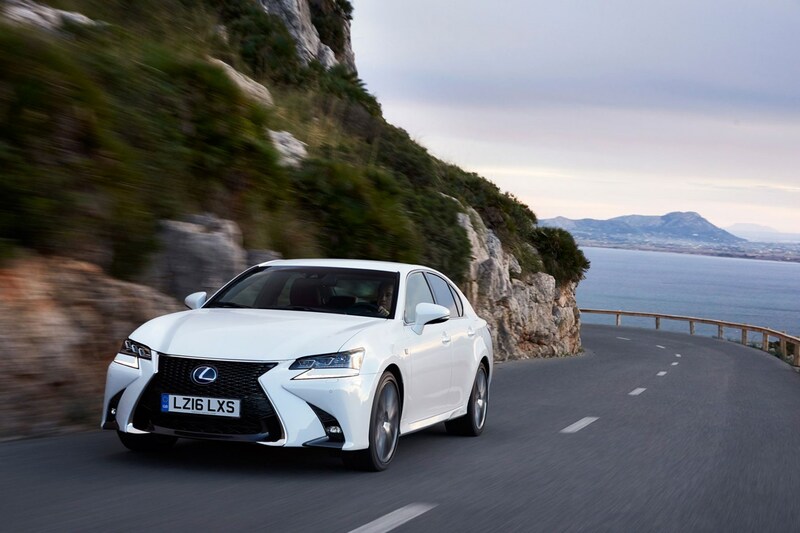 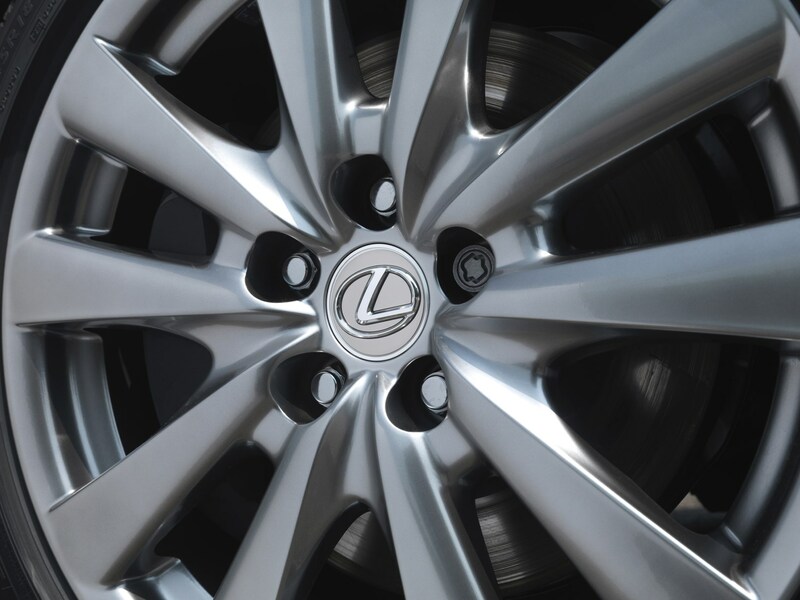 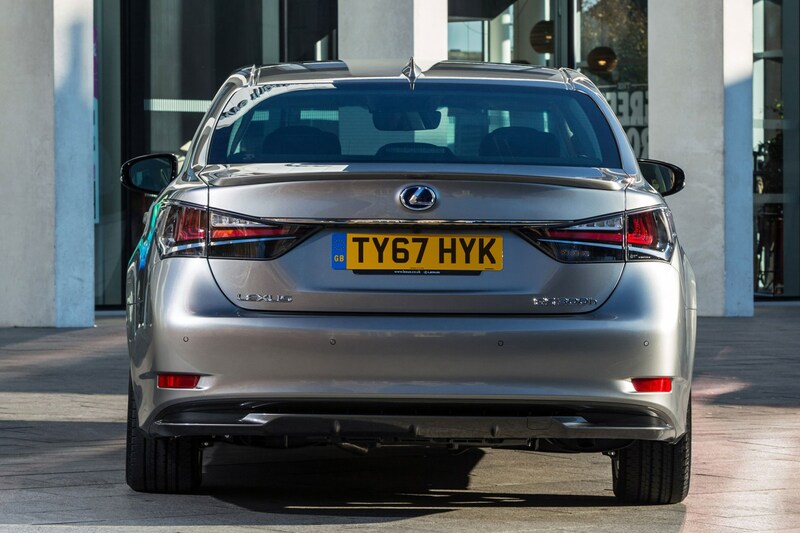 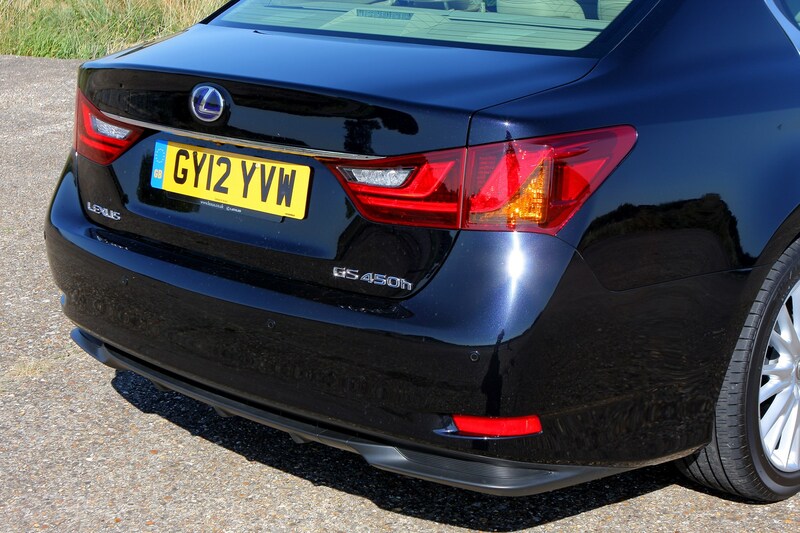 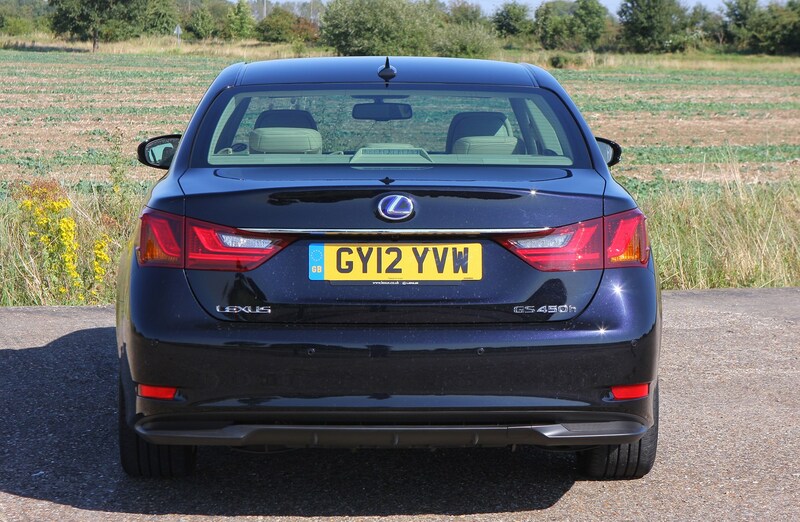 Typically, Lexus fits its cars with more equipment as standard compared with the likes of the 5 Series, A6 and E-Class, meaning it represents good value for money spec-for-spec. 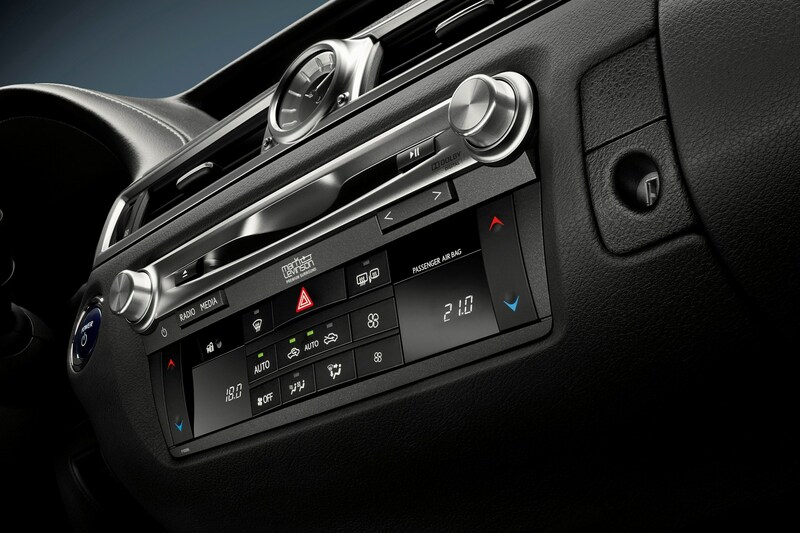 Inside, a large infotainment screen sits nestled in the sweeping dashboard, controlled via a fiddly controller located on the centre console – it’s far less intuitive than rival systems. 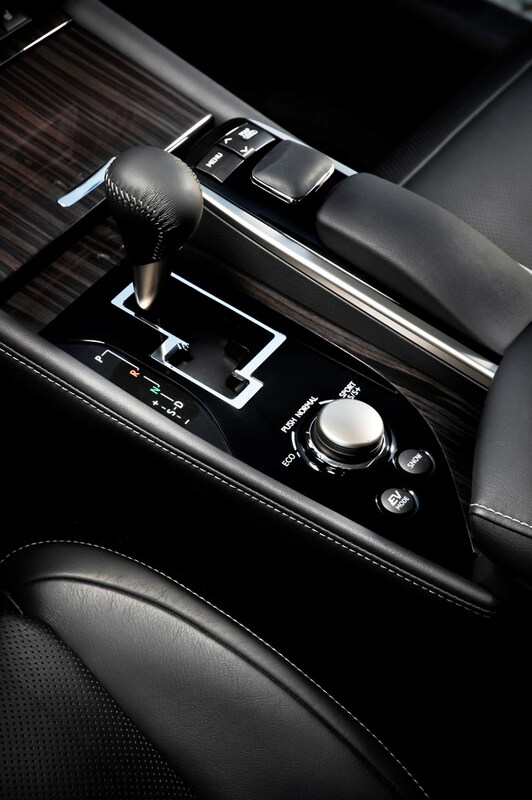 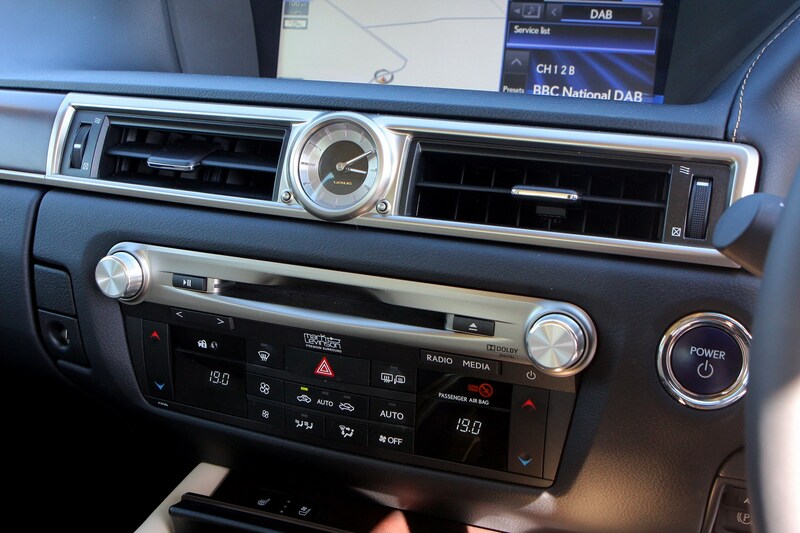 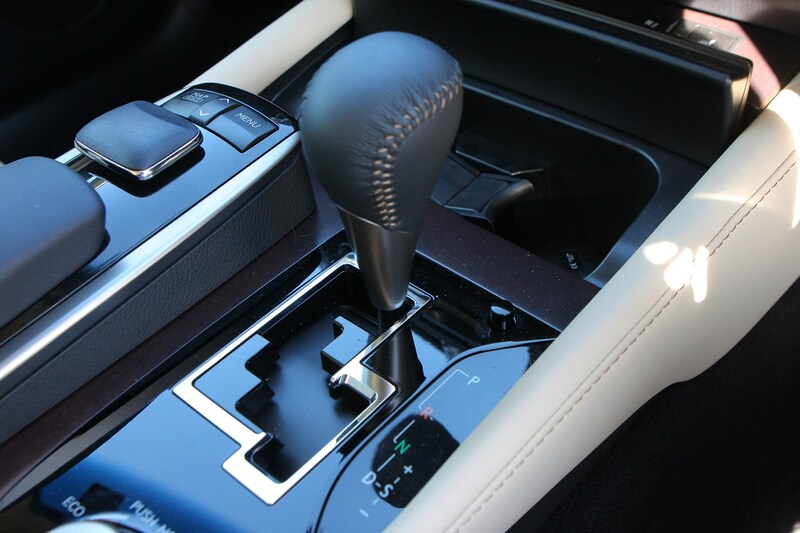 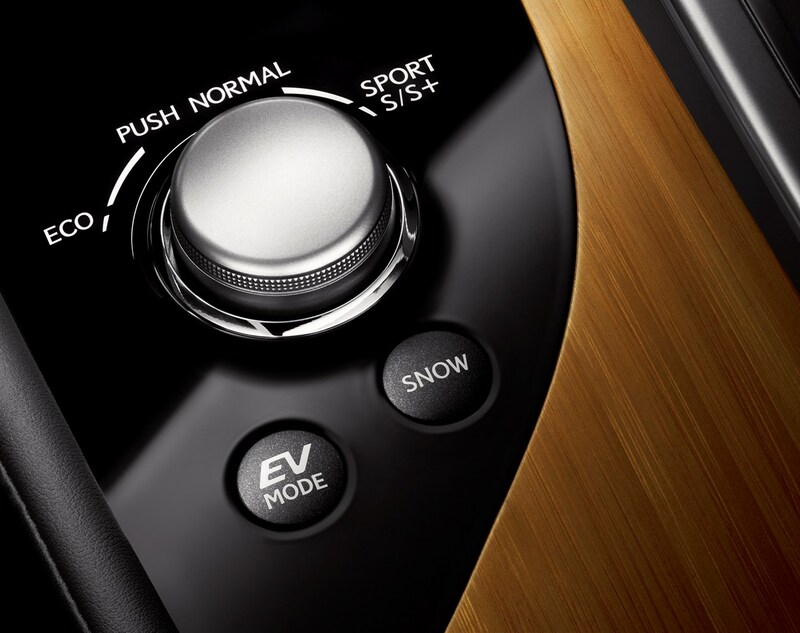 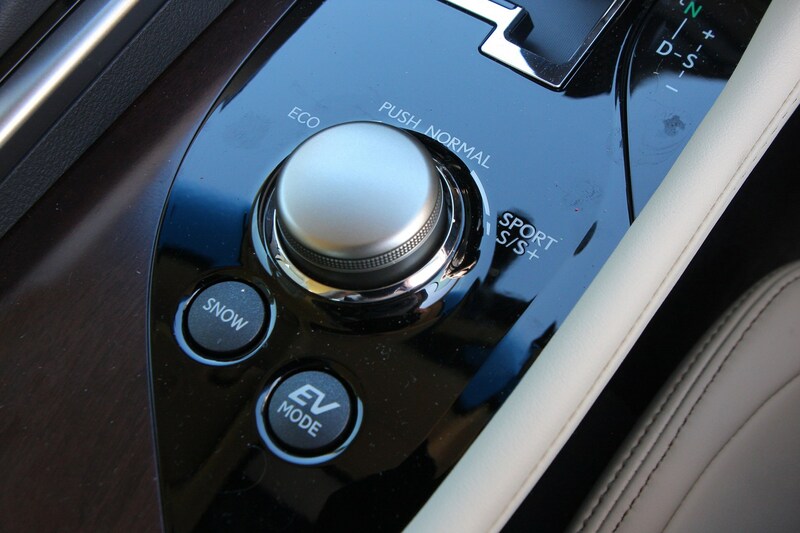 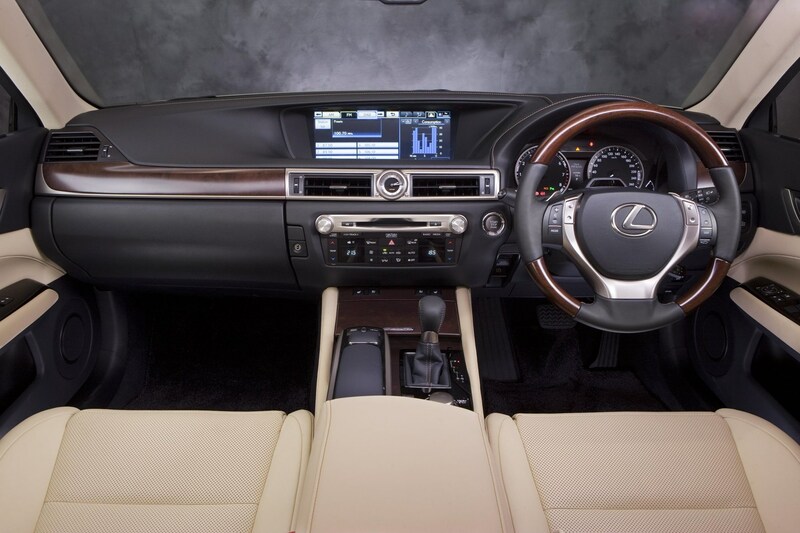 There’s a lot more buttons inside the GS than its rivals’ interiors, with some located in rather questionable locations. 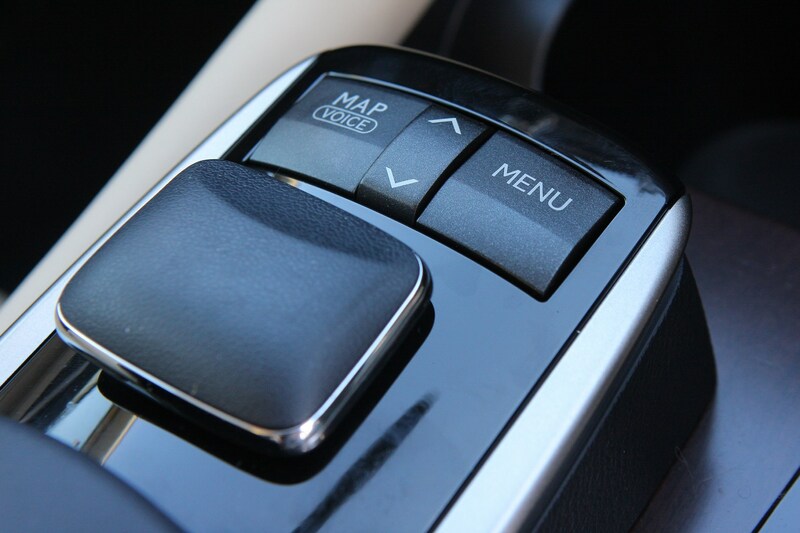 Once you learn the locations of all the functions, it’ll be easy to use. 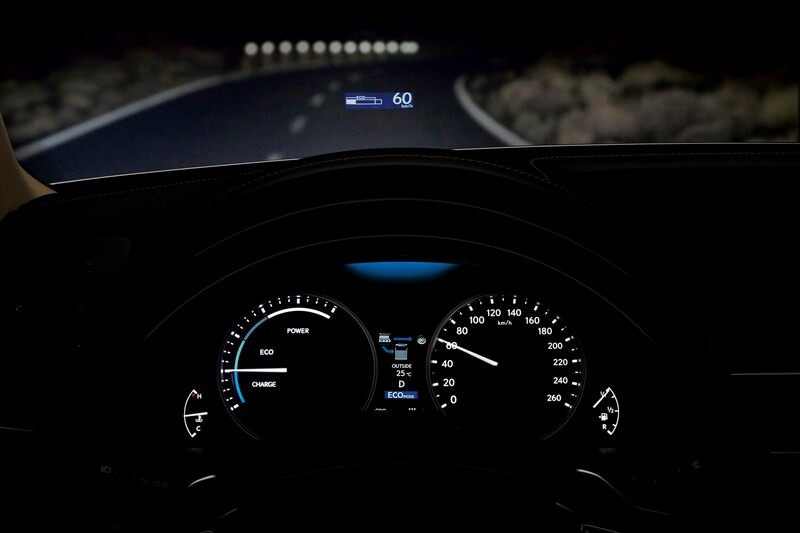 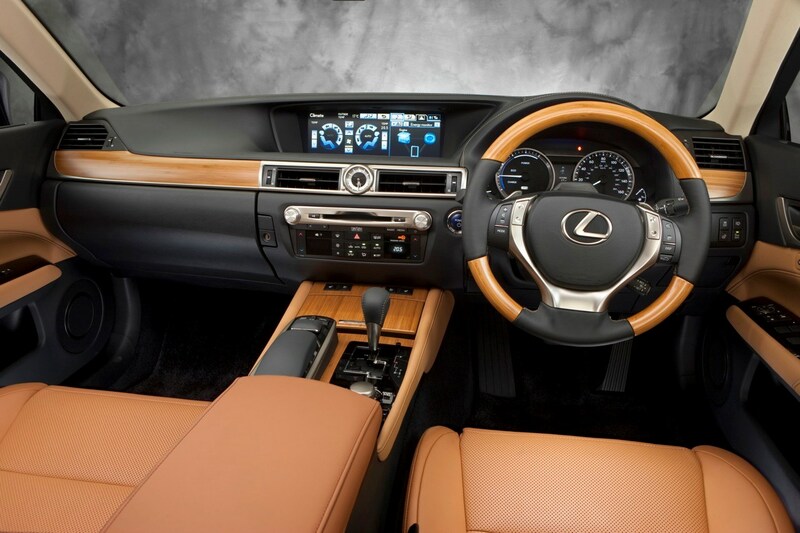 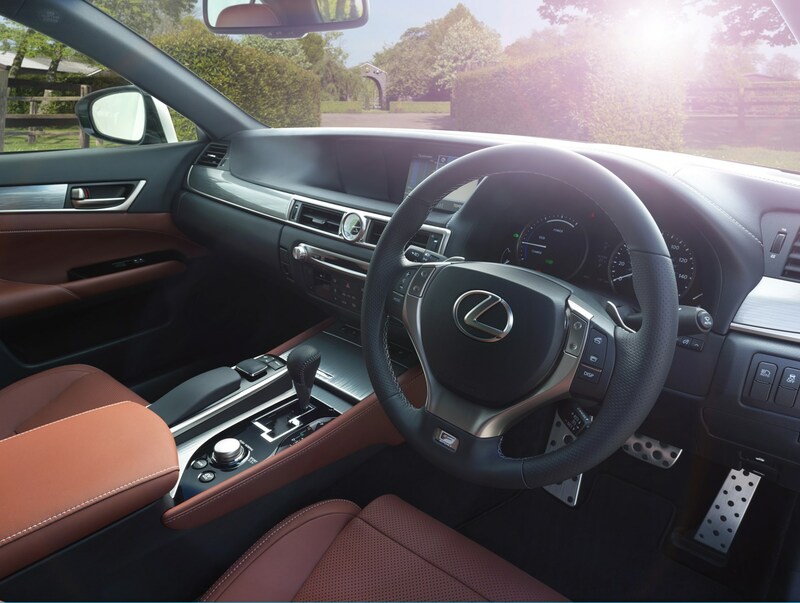 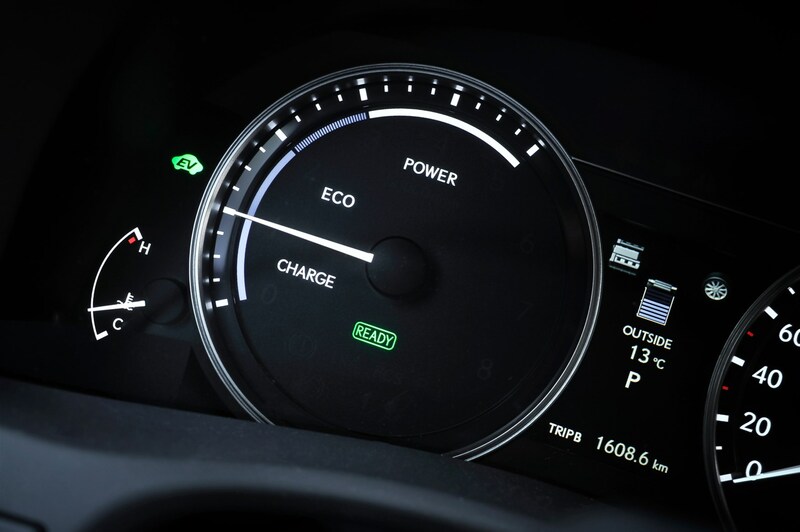 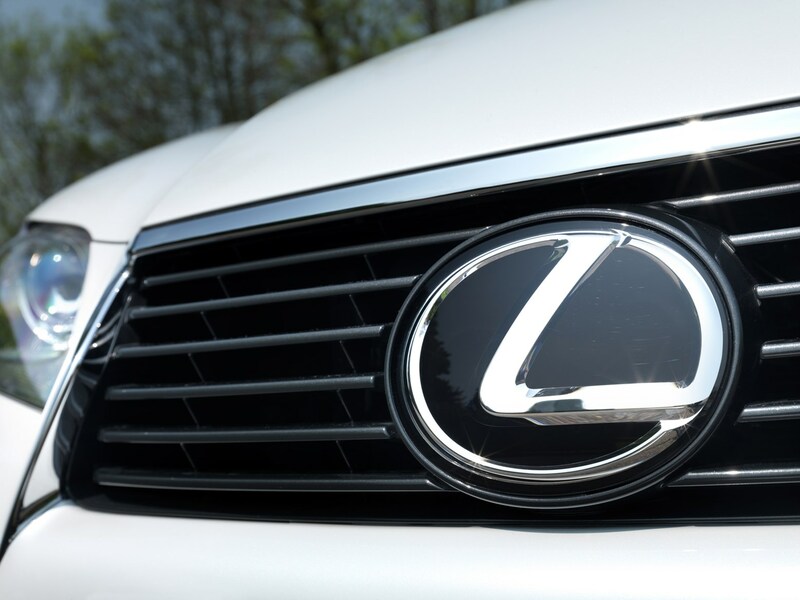 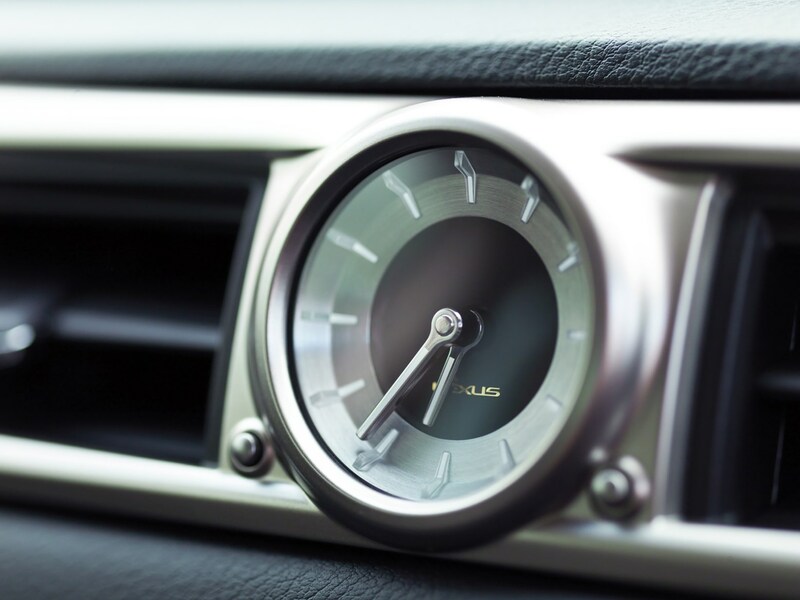 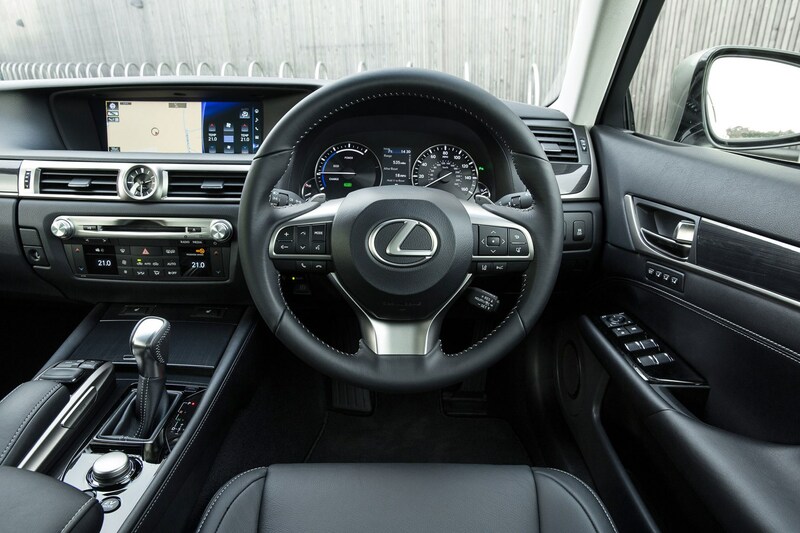 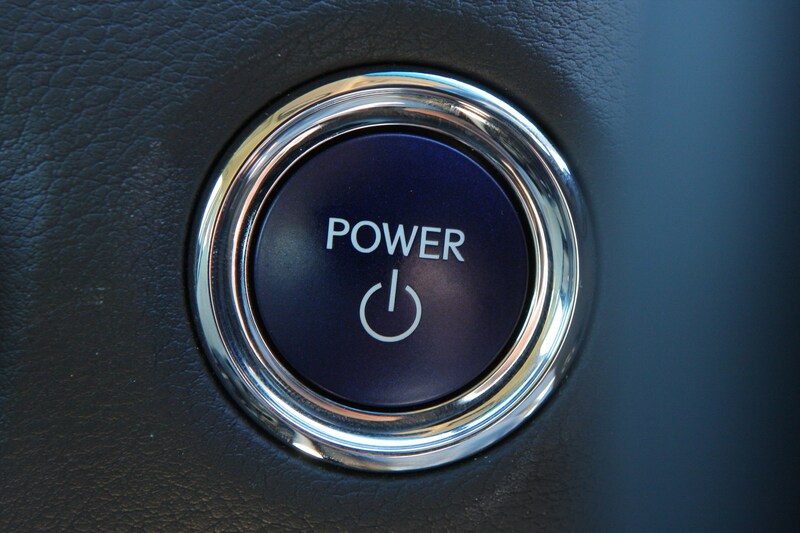 Lexus has kitted the car with some clever technology including energy saving air-con that uses sensors to determine if the front passenger seat is occupied or not. 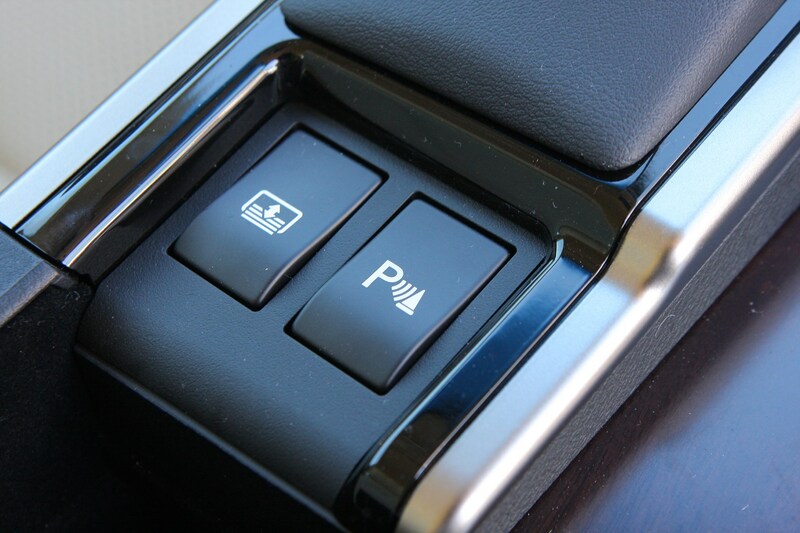 If not then the system closes all the vents serving that seat and thus saves energy. 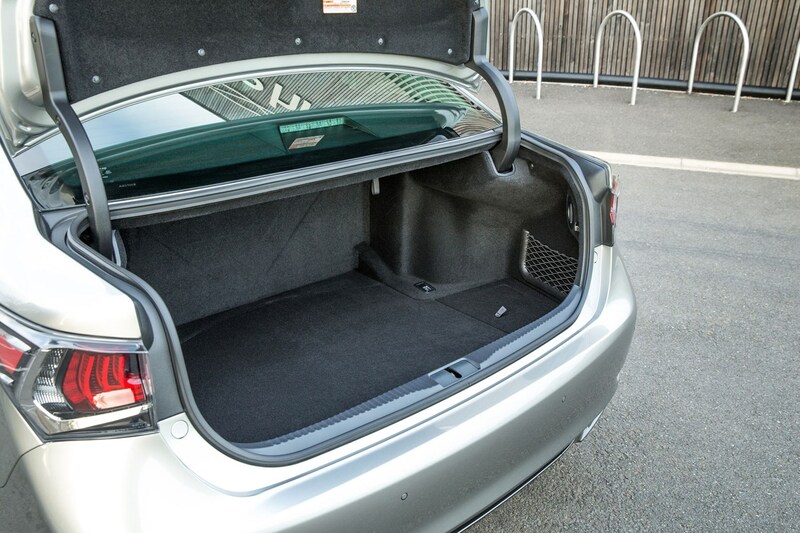 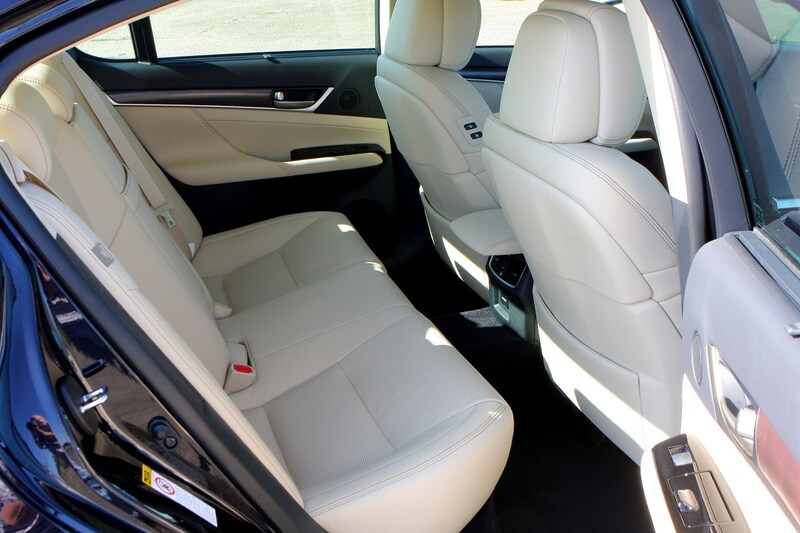 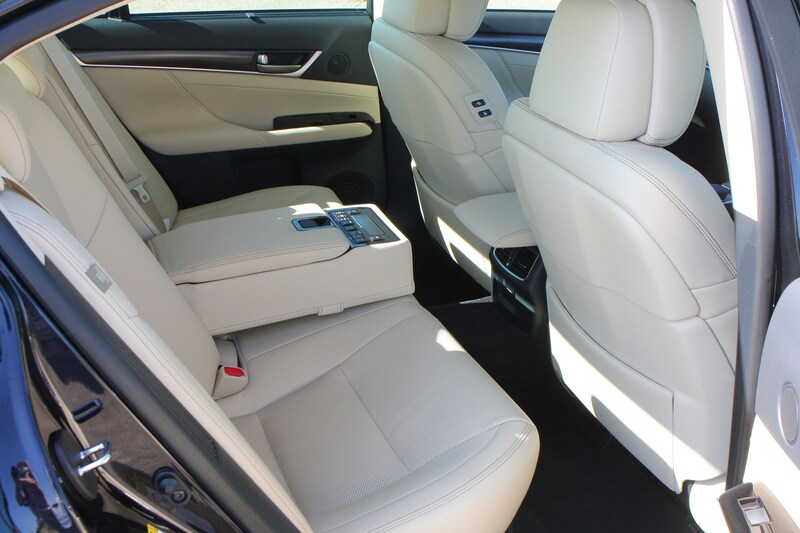 The GS saloon has generous interior space for passengers: legroom up front is plentiful and there is an extra 30mm of headroom for the driver and front seat passenger compared with the version that came previously. 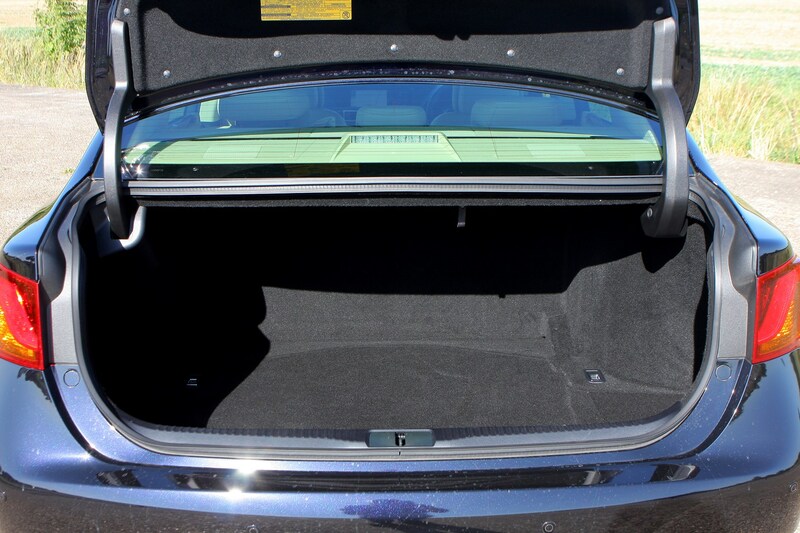 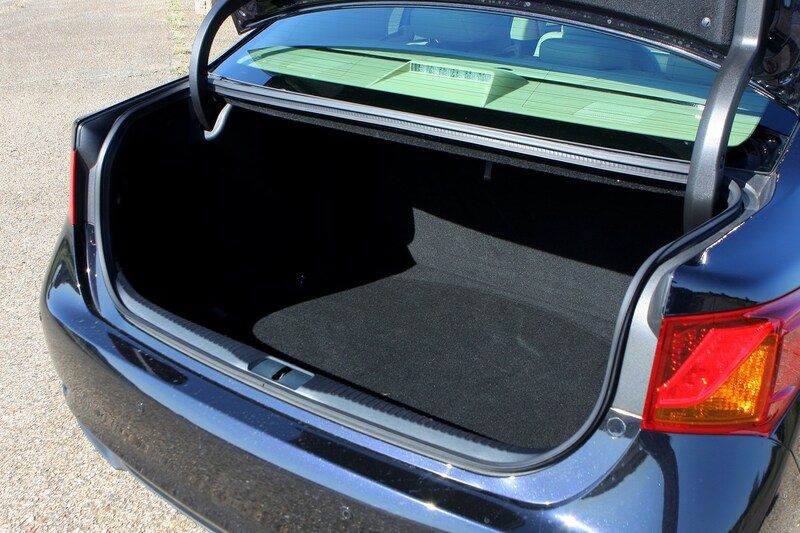 Rear passengers will be happy too; knee room is good in the back and taller passengers won’t struggle too much for headroom. 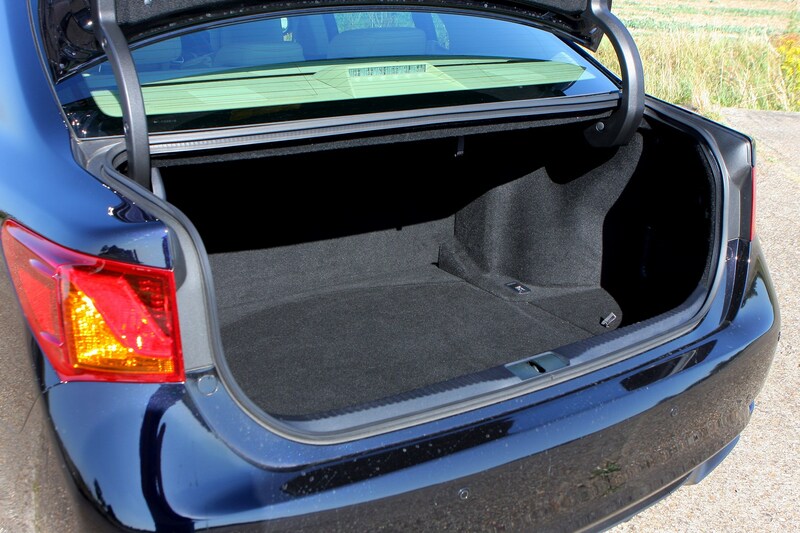 The boot space trails its rivals, though. 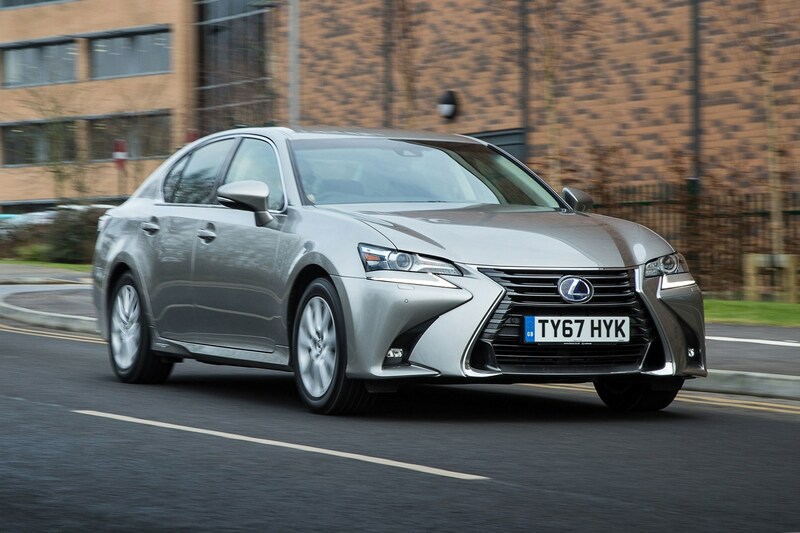 The Lexus GS is replaced with the new ES saloon at the end of 2018, but it offers sharp styling and a lengthy list of standard equipment for the money. 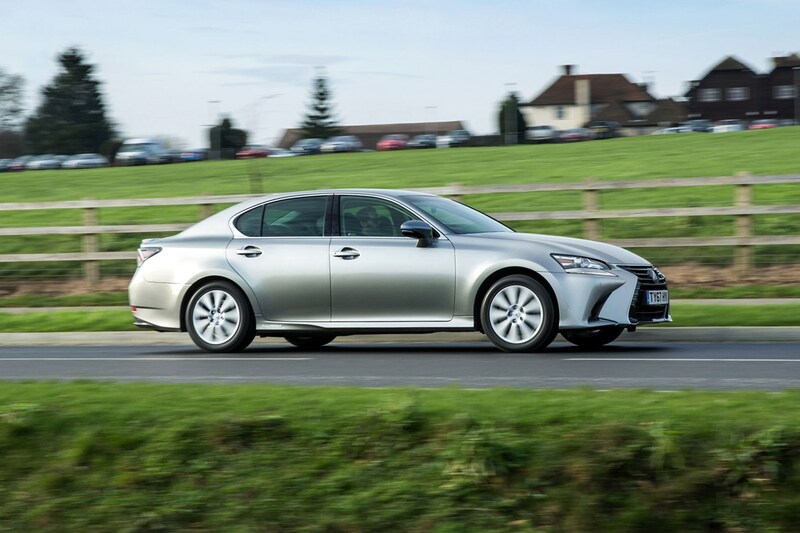 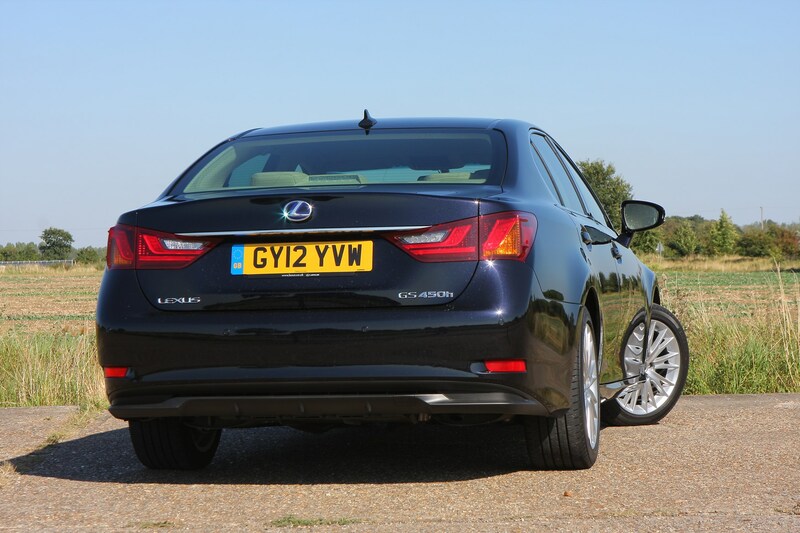 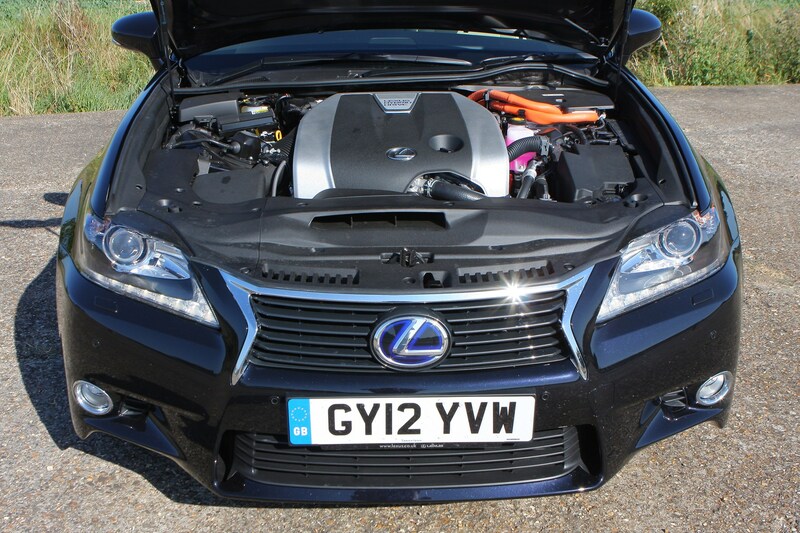 The added appeal of the GS is that it comes with a choice of efficient hybrid powertrains that match its relaxed nature, making it a great car for cruising up and down the motorway in. 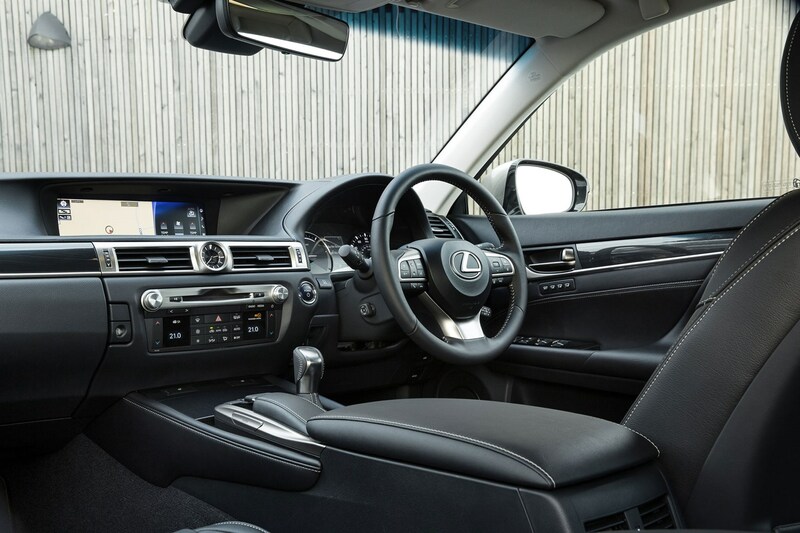 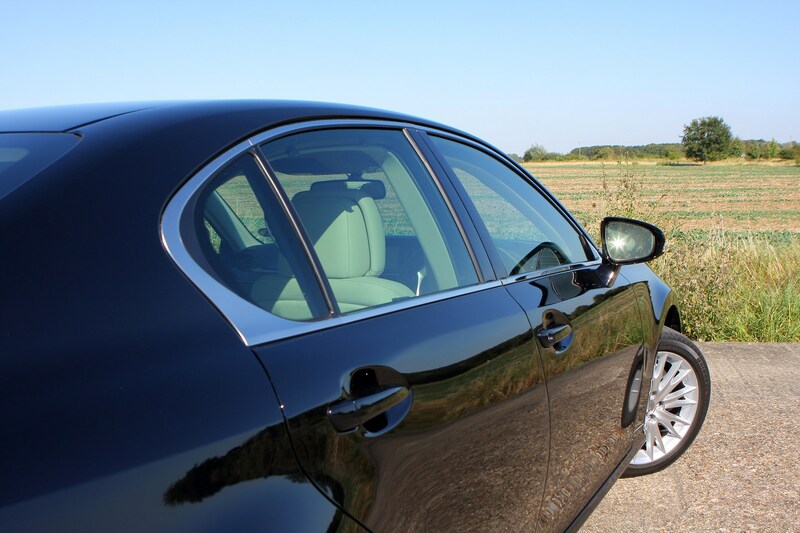 It’s not as good to drive as a Merc, BMW, Jaguar or Audi, but it’s refined, very comfortable and good value for money, but you’ll need to make sure you can get on with the interior and fiddly media system before you buy.